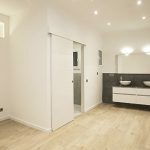 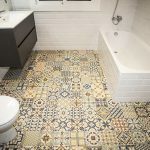 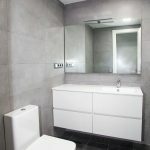 Doing the renovation of your home is a very important decision, which is why it is always advisable to choose the company from the house renovation that will be carried out. 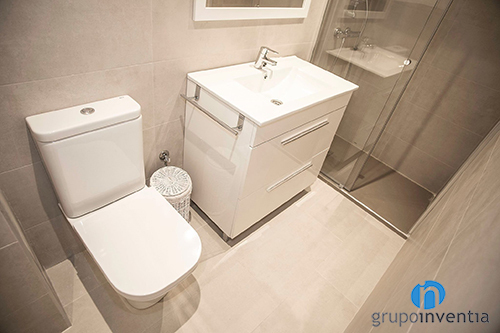 At Grupo Inventia we offer you years of experience and exceptional results. 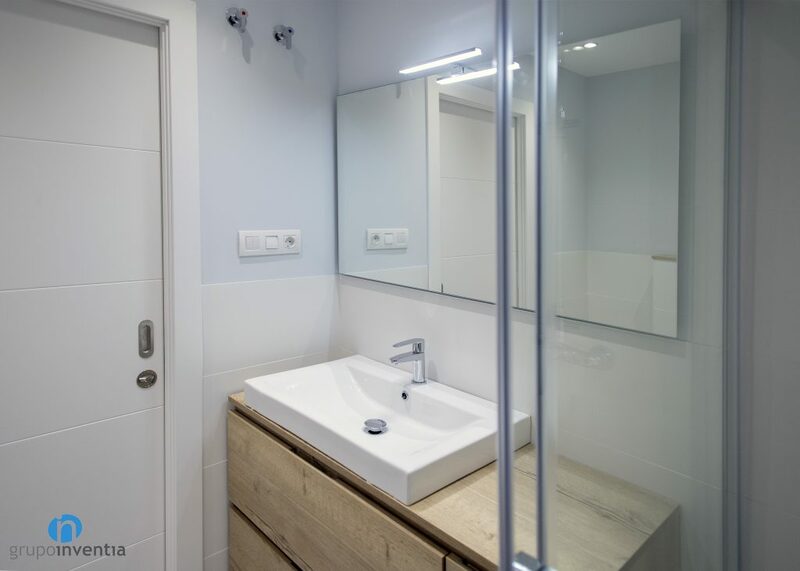 After years in the sector of house renovations, Grupo Inventia offers a personalized service that is adapted to the needs of each owner, working one at a time in all the rooms of the home. 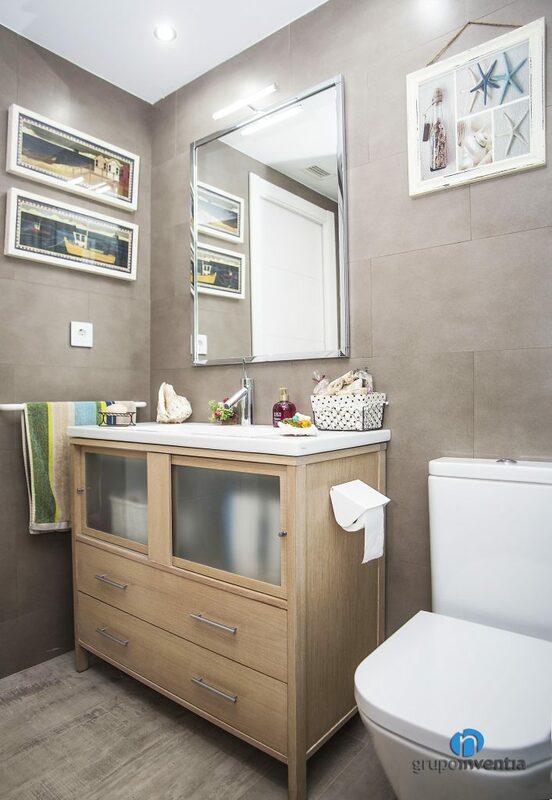 Among them are the bathrooms, one of the most important and necessary in any home. 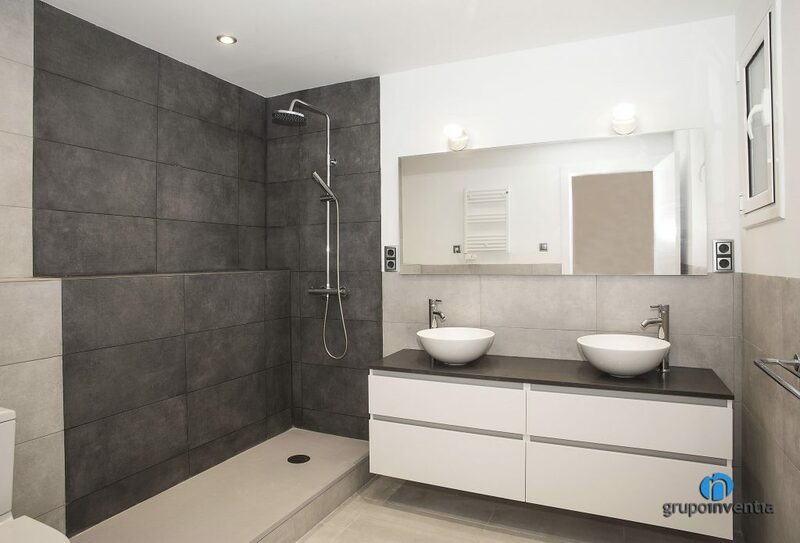 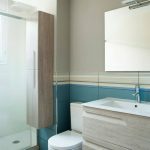 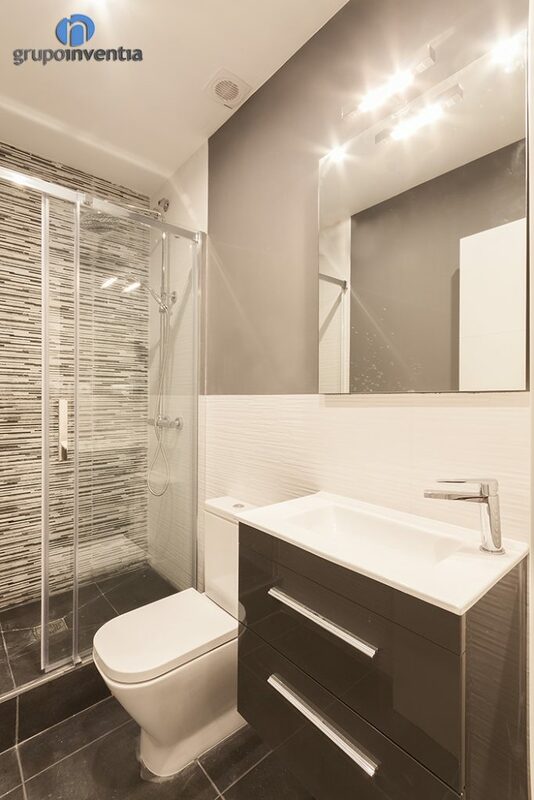 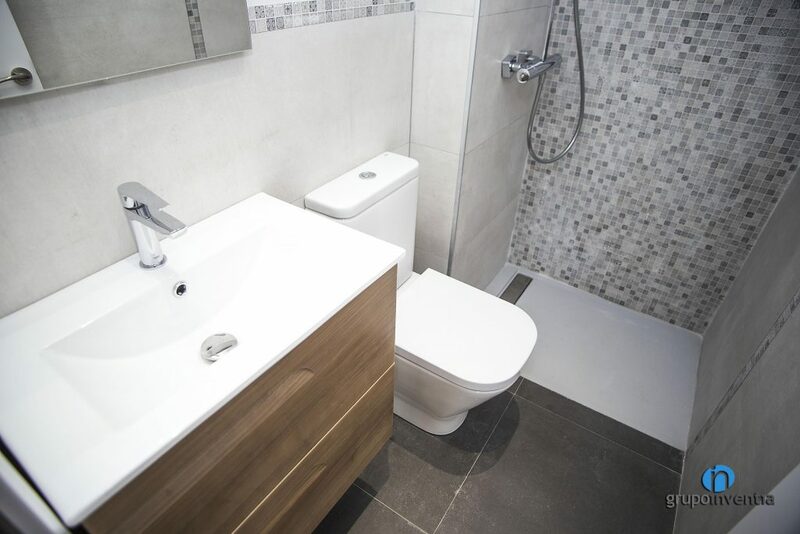 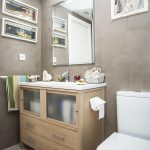 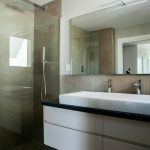 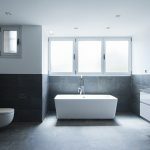 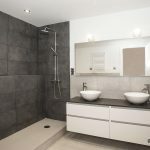 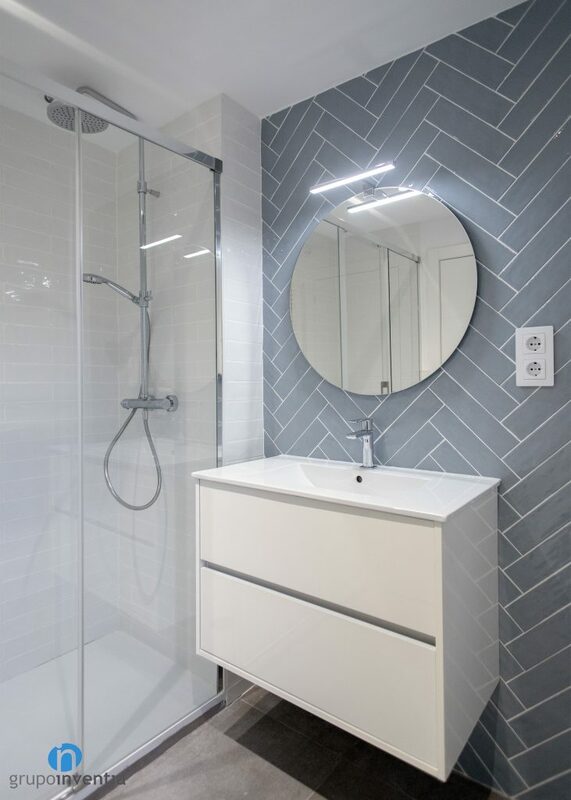 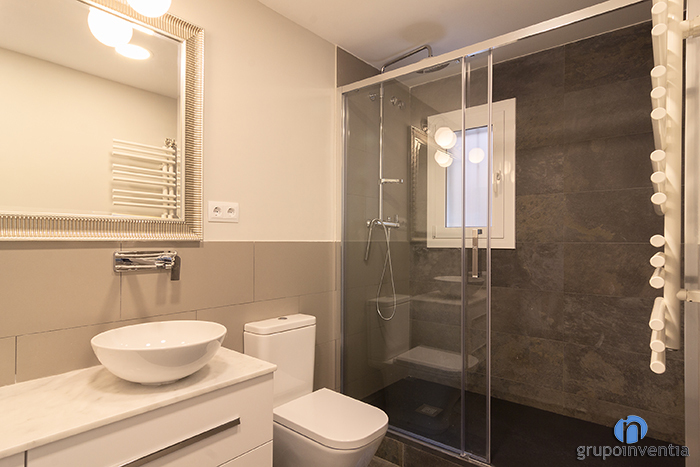 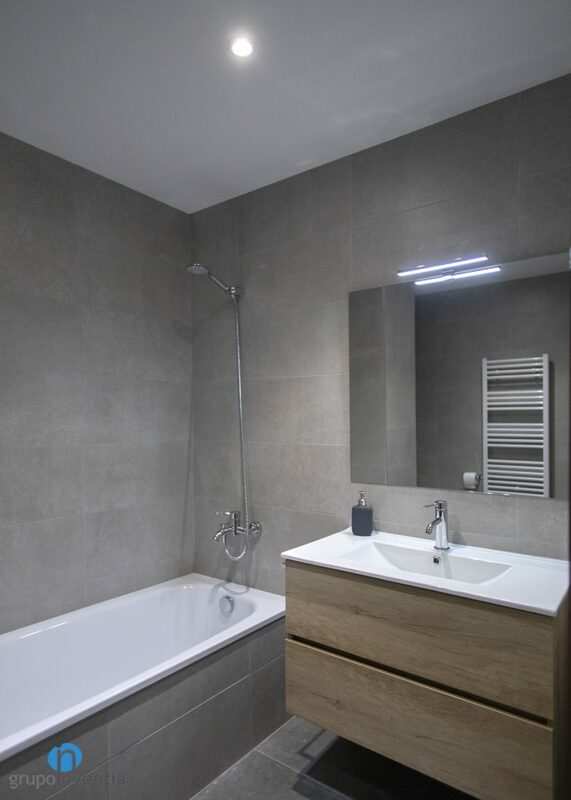 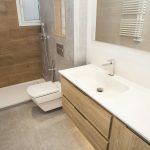 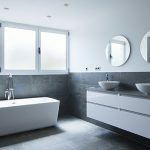 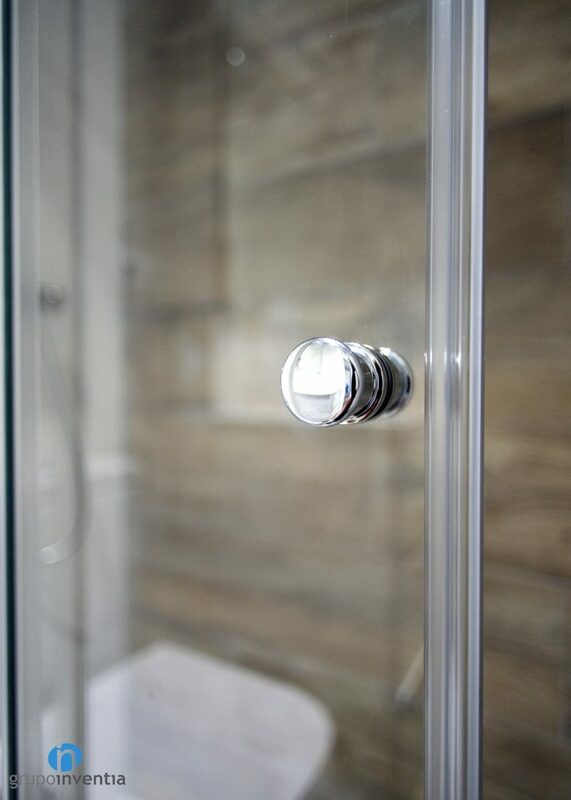 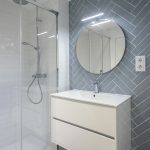 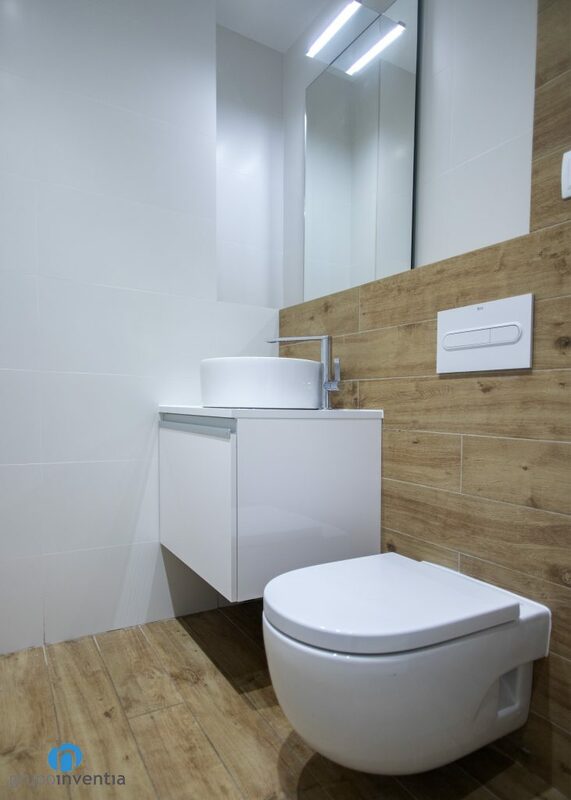 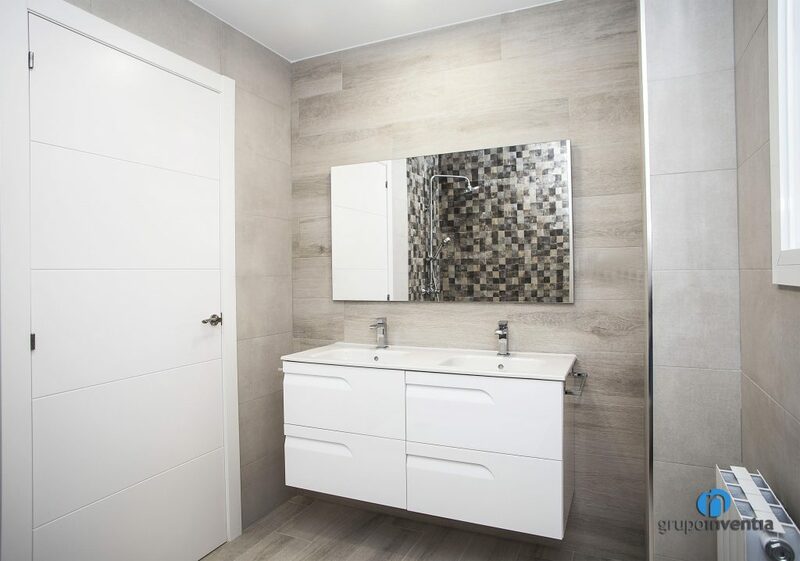 At Grupo Inventia we have a specialized bathroom renovation department that will guide you from the beginning to the end, advising you when making decisions and choosing the new materials and equipment. 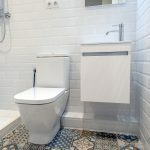 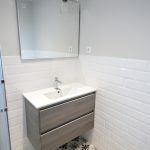 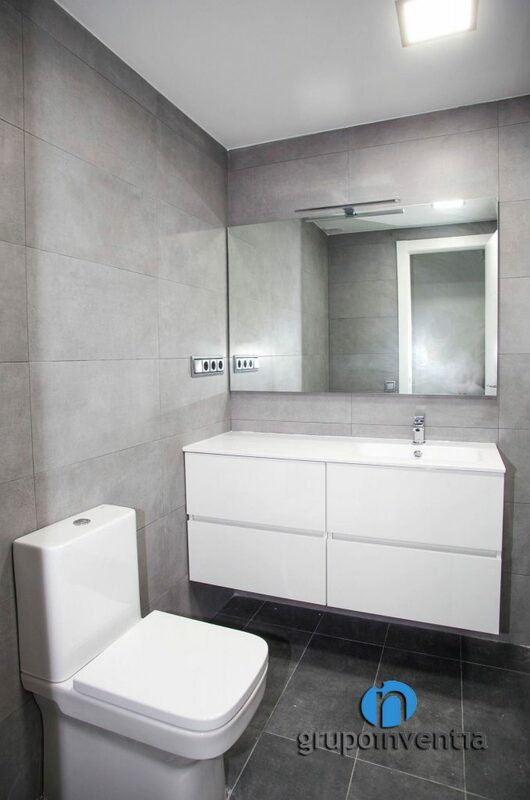 Once the first visit to the home has been done, our bathroom renovation department in Barcelona will start the project. 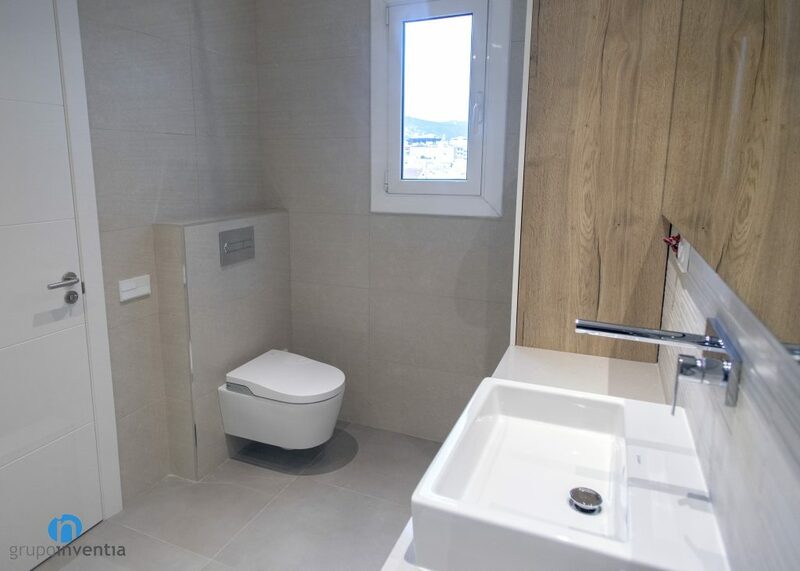 The instructions expressed by the owner will be reflected in it and 3D renders will be made so that it can see an approximation to the final result of the work. 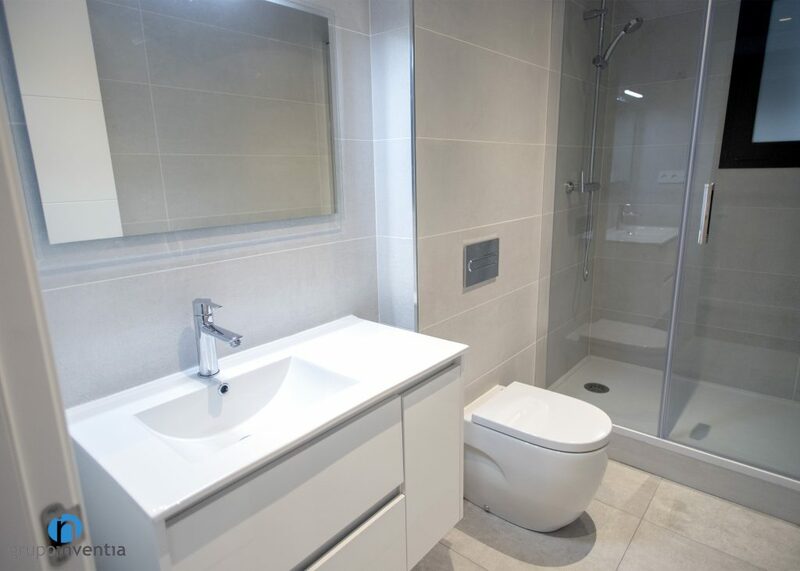 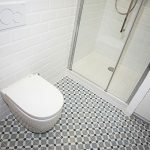 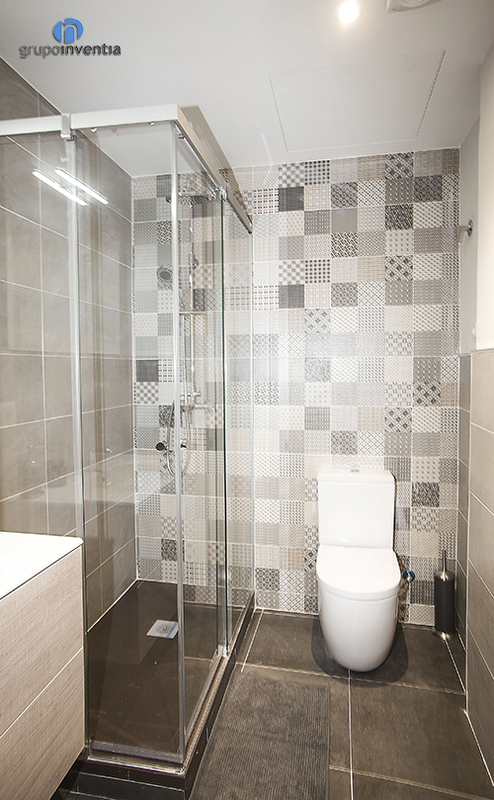 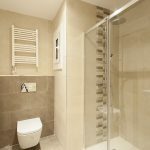 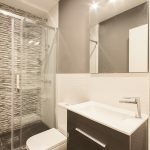 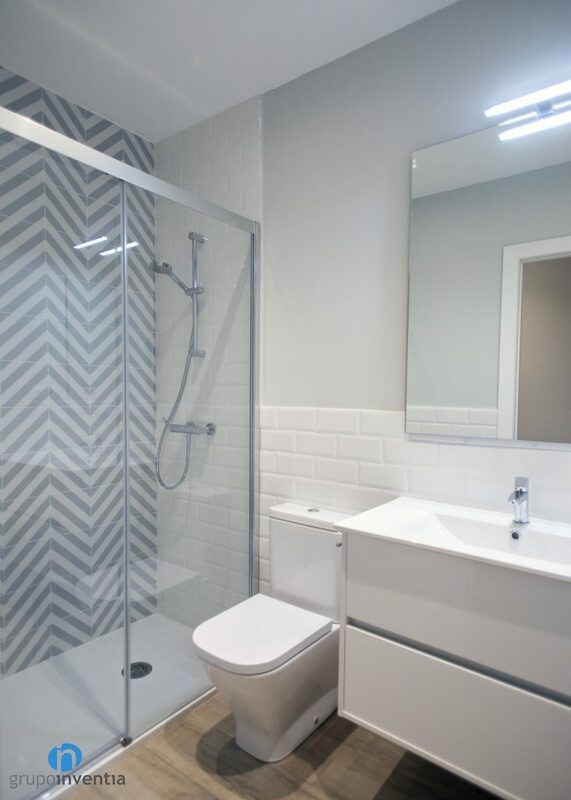 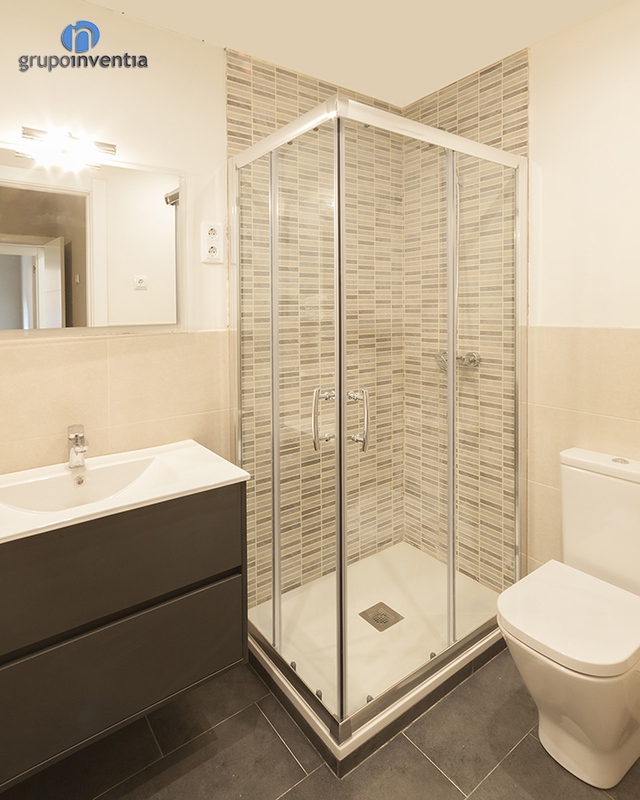 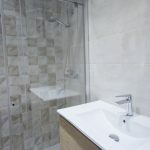 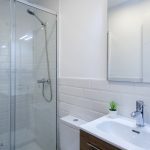 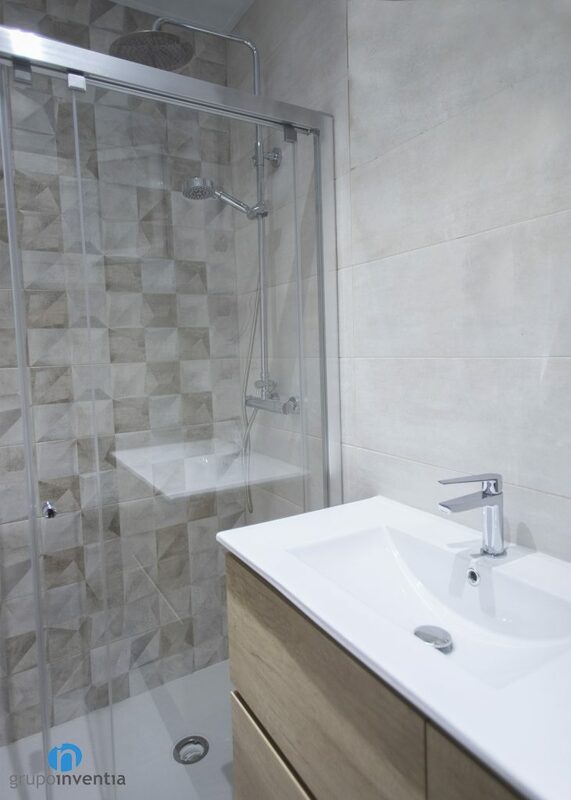 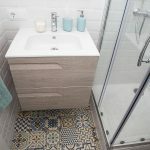 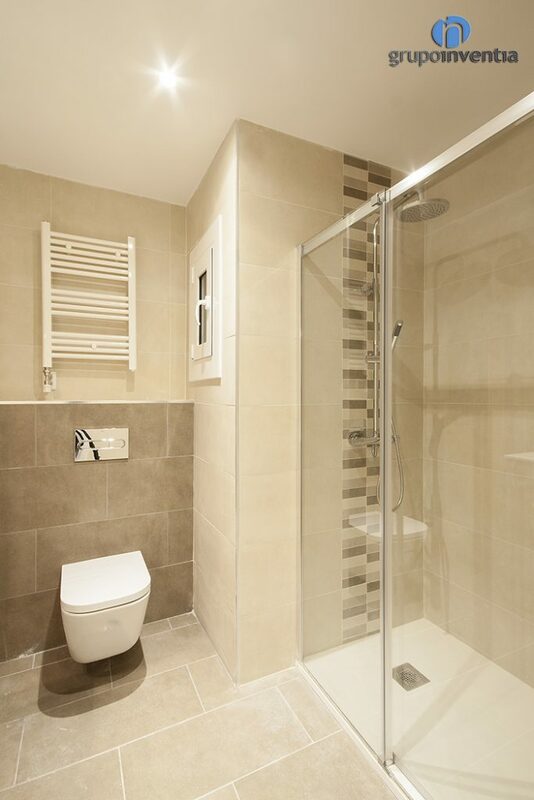 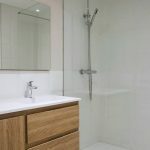 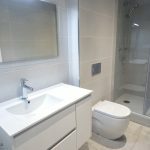 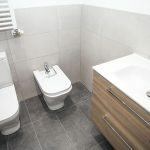 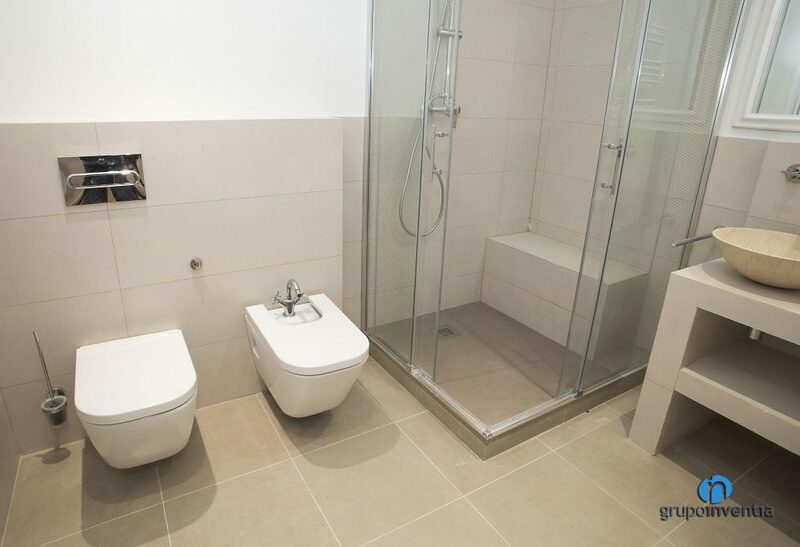 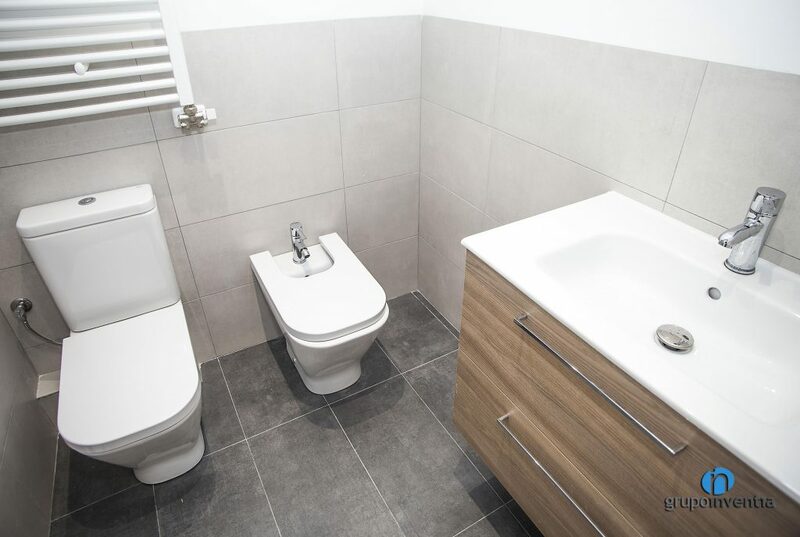 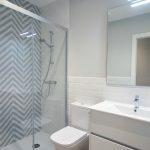 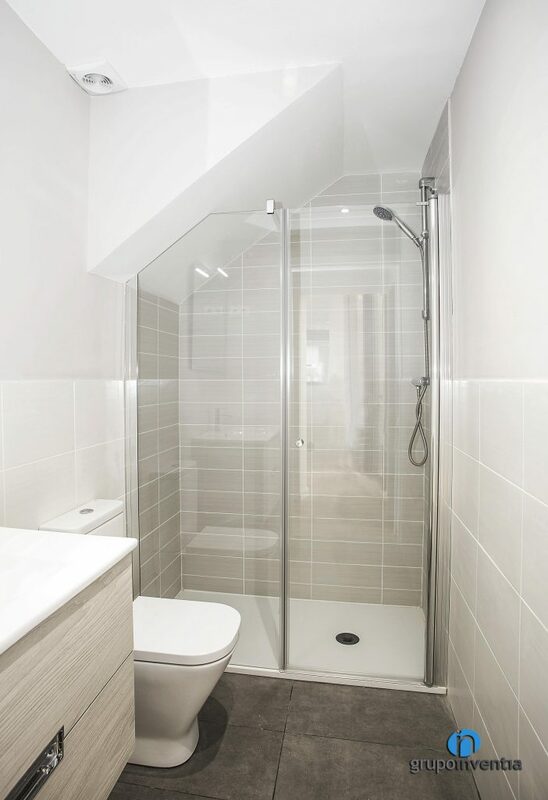 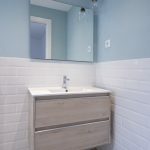 This bathroom renovation project is delivered along with a detailed quote, both for free and without any commitment. 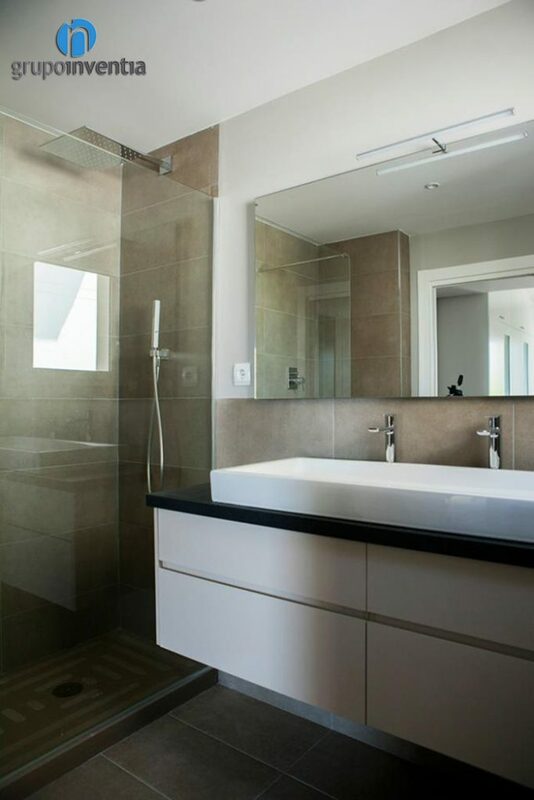 Whether it is a total renovation or a partial reform, Grupo Inventia is at your service without any pressure. 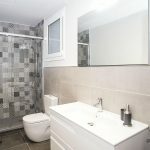 The rehabilitation works will start if the owners accept the project. 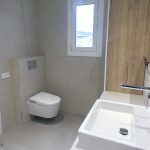 For a bathroom renovation, our interior design department in Barcelona takes into account all the possibilities, offering several options for distribution. 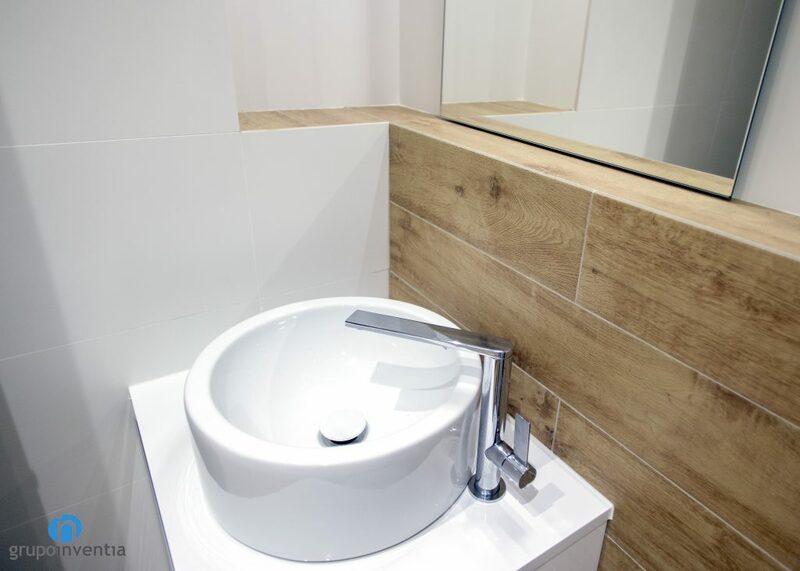 We adapt to the needs of the owners and shape their ideas, including the changes that are convenient and possible to make. 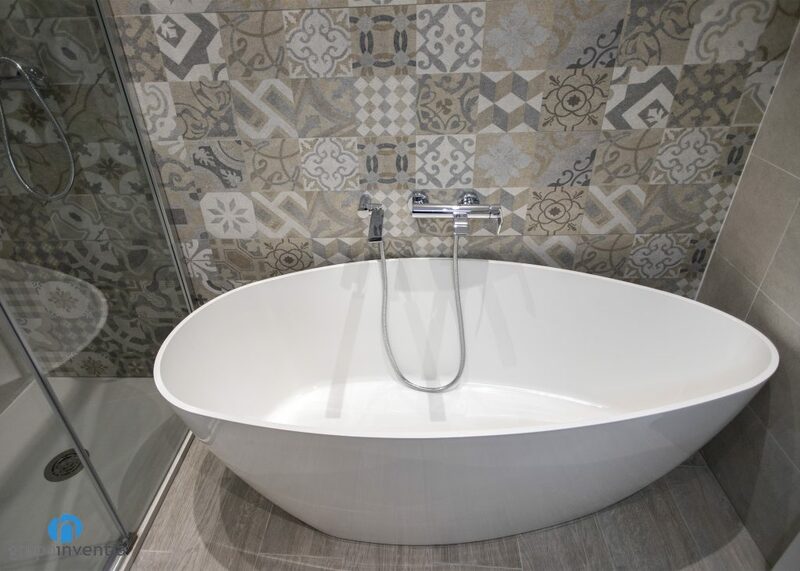 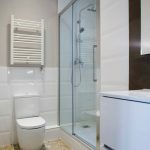 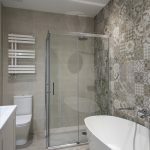 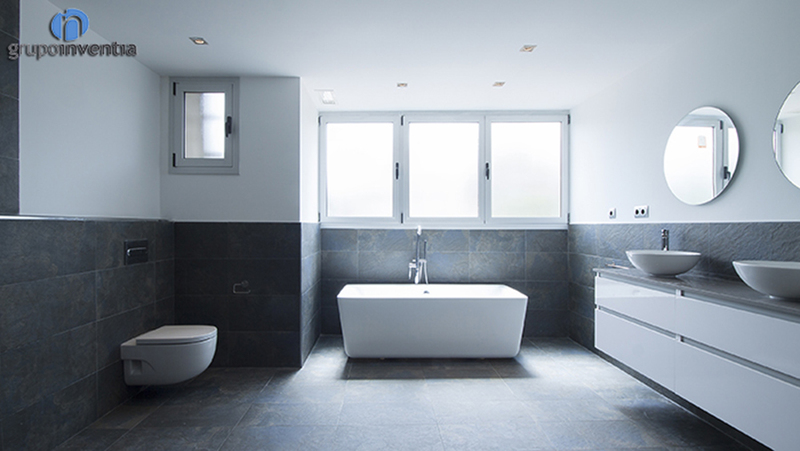 As with any aspect of the property, Grupo Inventia works with trusted suppliers and first brands for bathroom renovation. 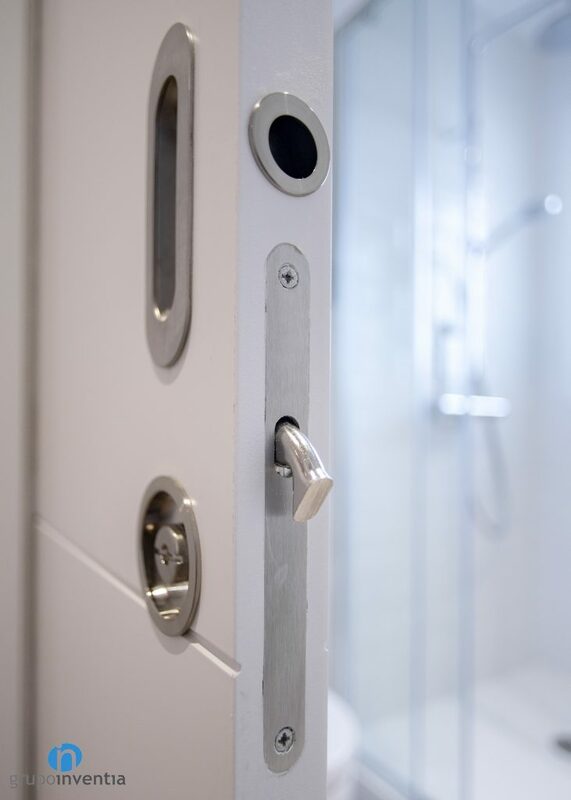 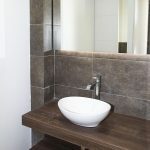 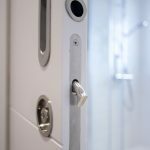 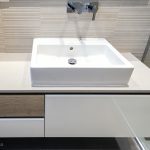 We guarantee that both the materials of the furniture and the sanitary elements must be durable and will offer the best benefits when making use of them. 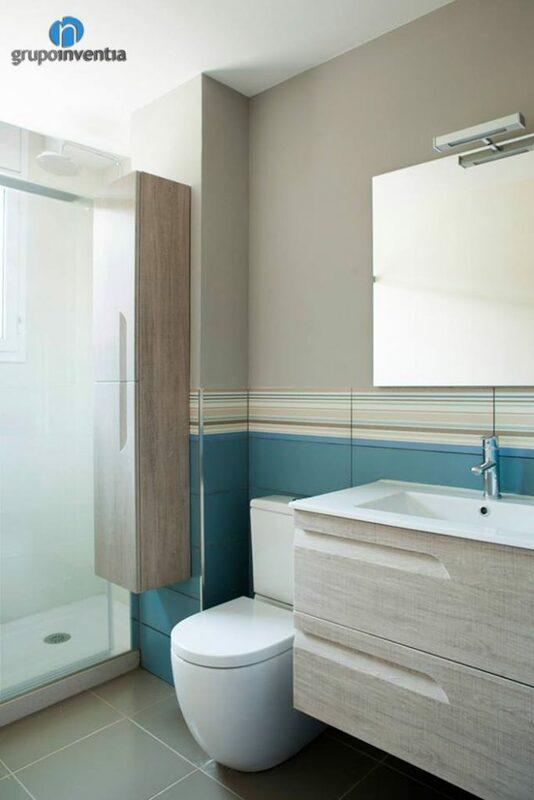 Our catalog covers a wide range of finishes and colors for bathroom furniture, wall tiles and pavement. 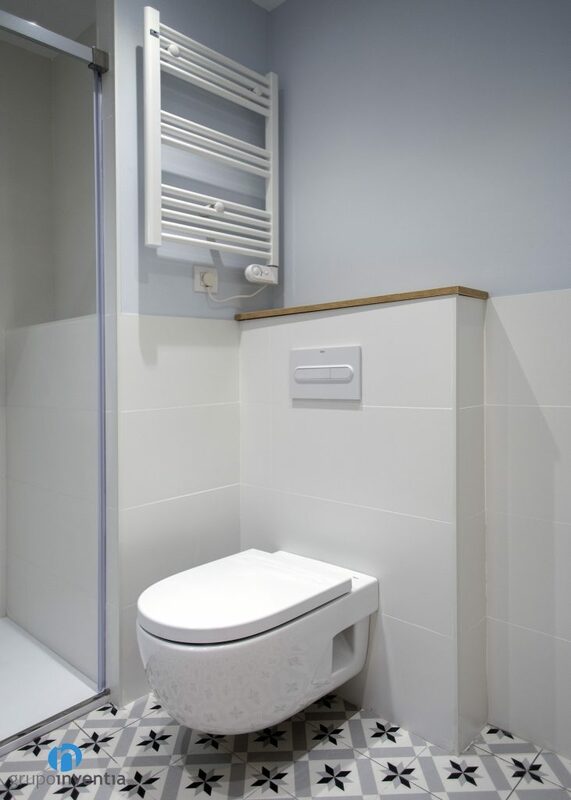 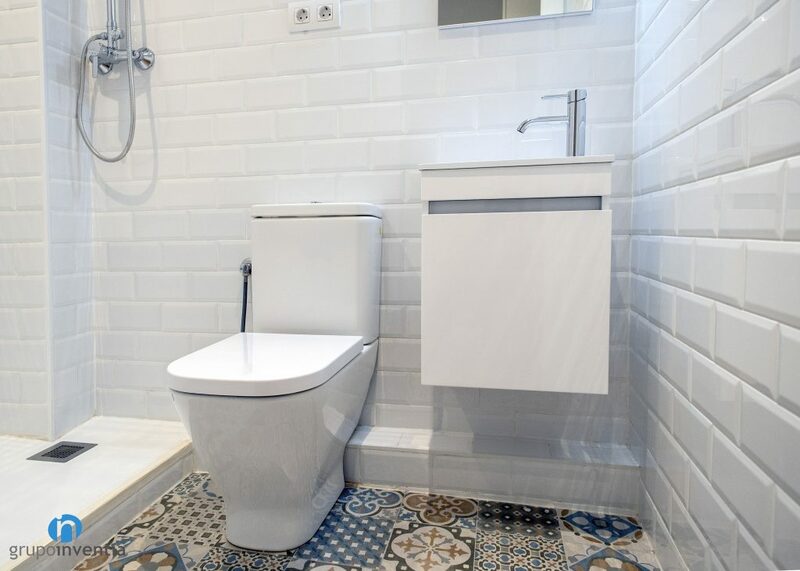 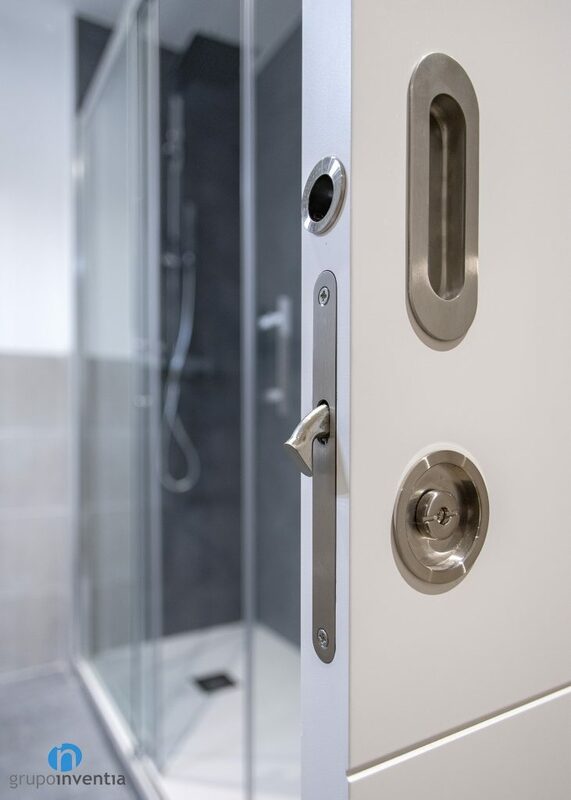 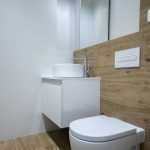 We also have a wide range of sanitary equipment, highlighting the most essential ones such as the washbasin, the toilet and the shower or bathtub. 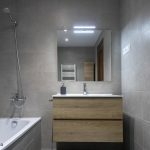 In turn, we also have radiators, screens, mirrors or lighting. 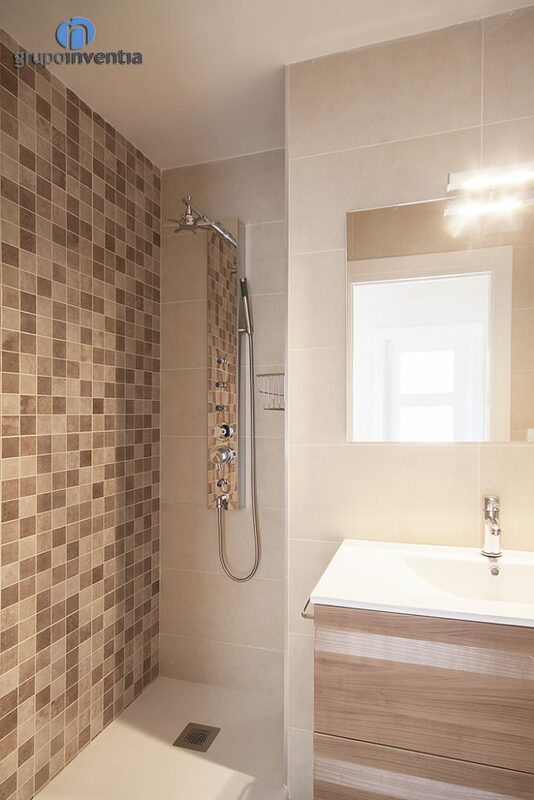 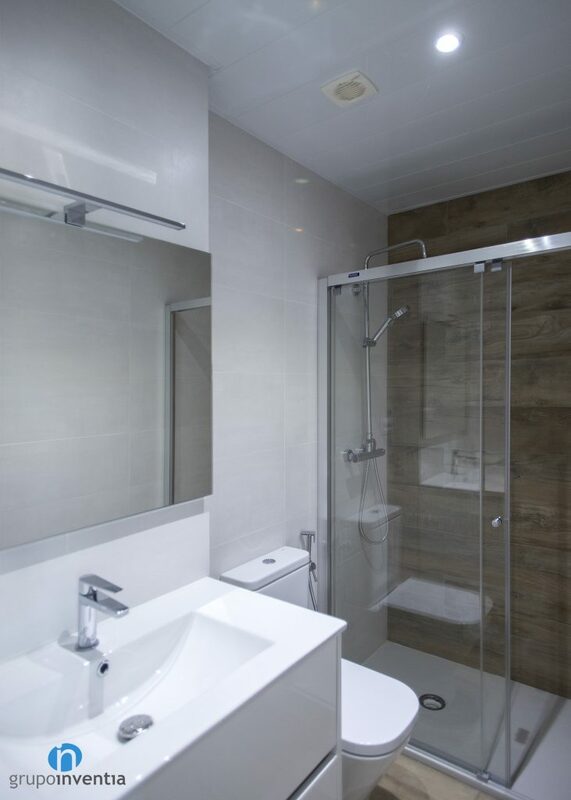 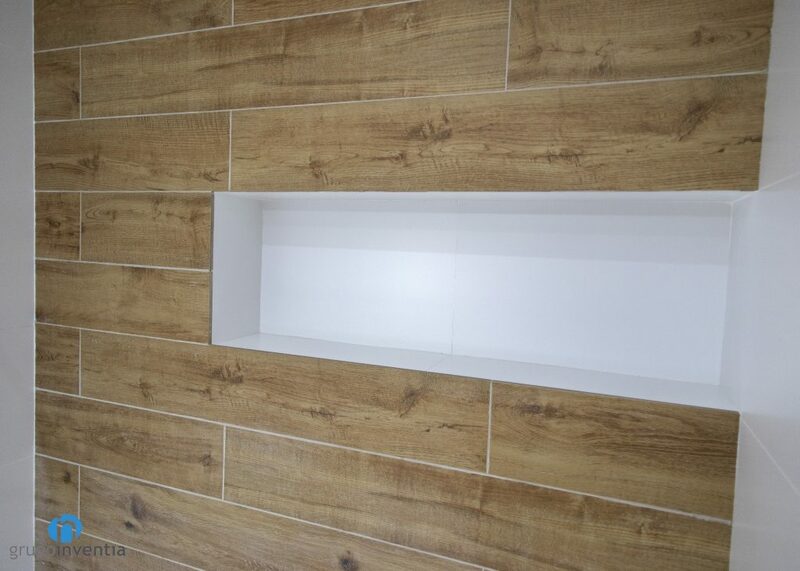 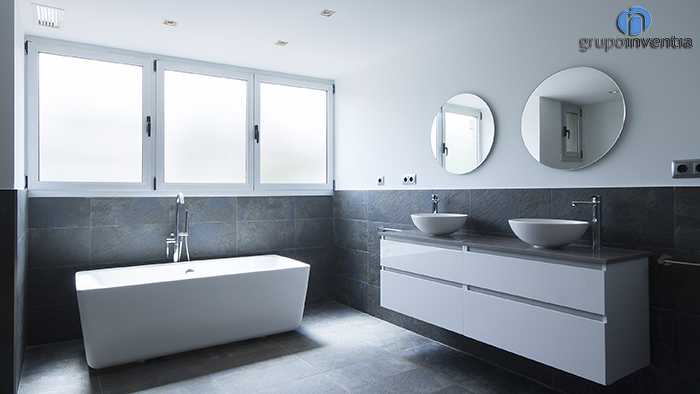 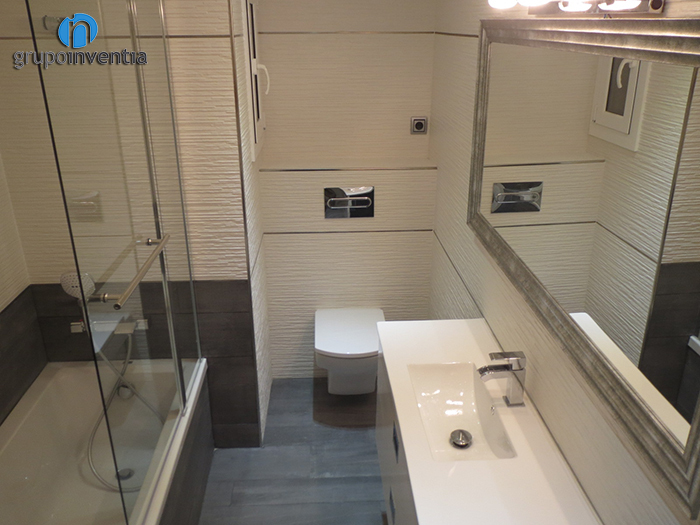 The bathroom renovations of Grupo Inventia are also characterized by the quality of the materials used in them. 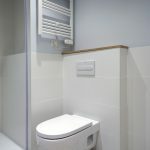 As with sanitary equipment, we work with the best distributors of bathroom furnishings and items. 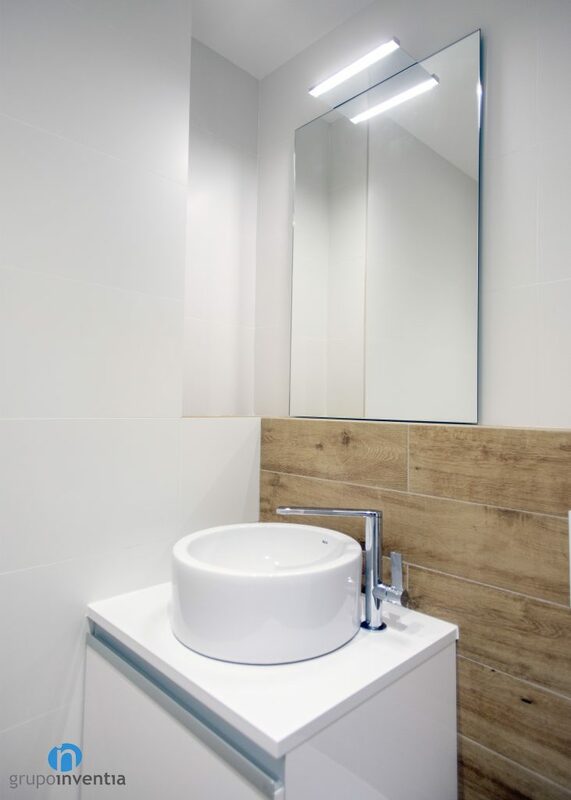 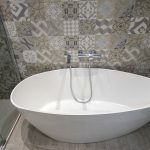 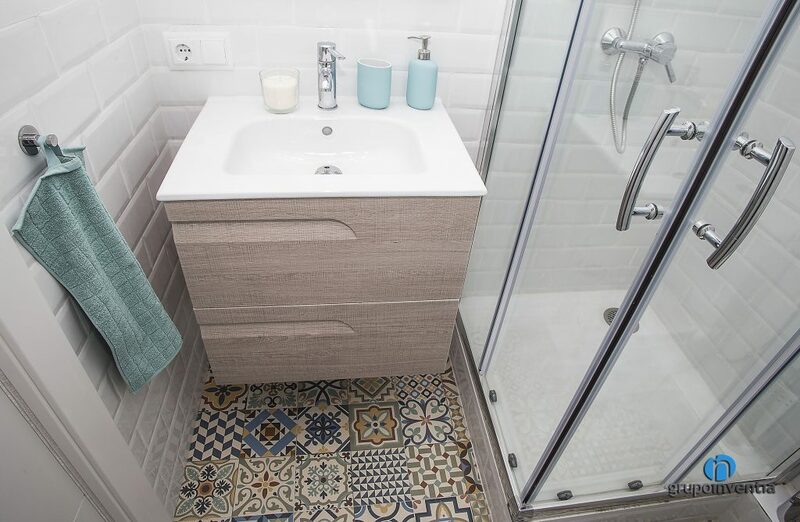 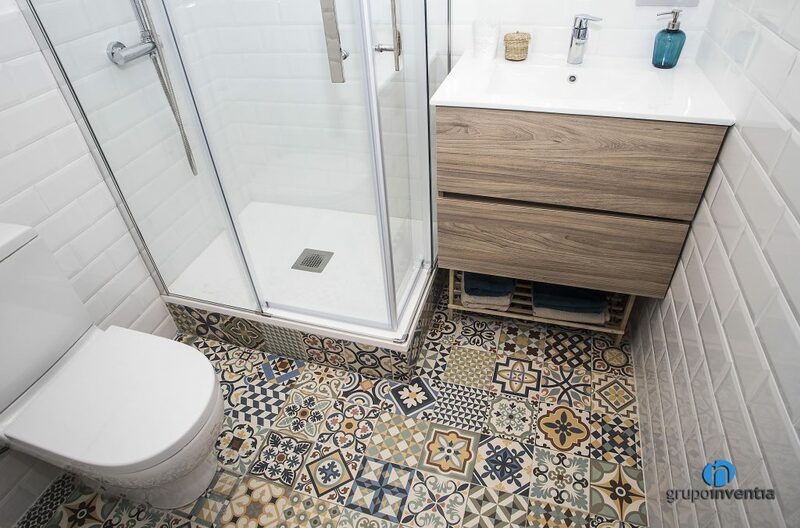 Taking as a reference the surface of the bathroom to be renovated, we adapt to the customer’s taste, which, driven by our interior design department, can choose the distribution that suits you most. 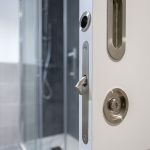 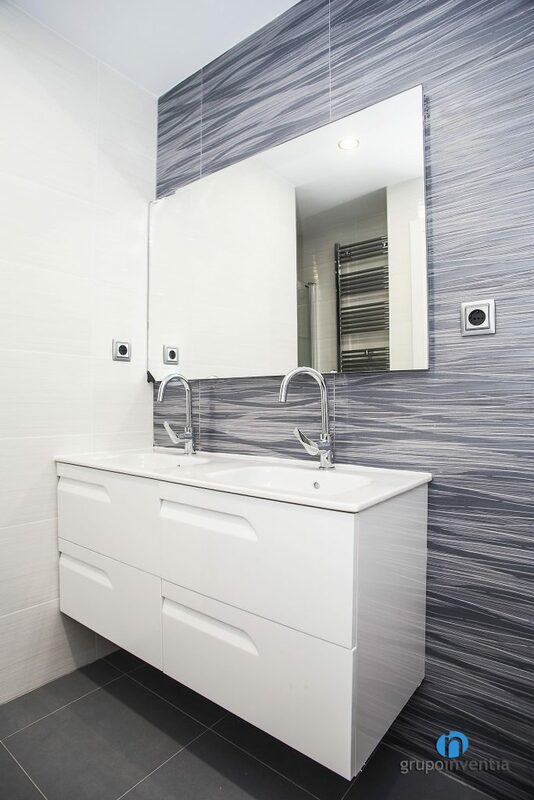 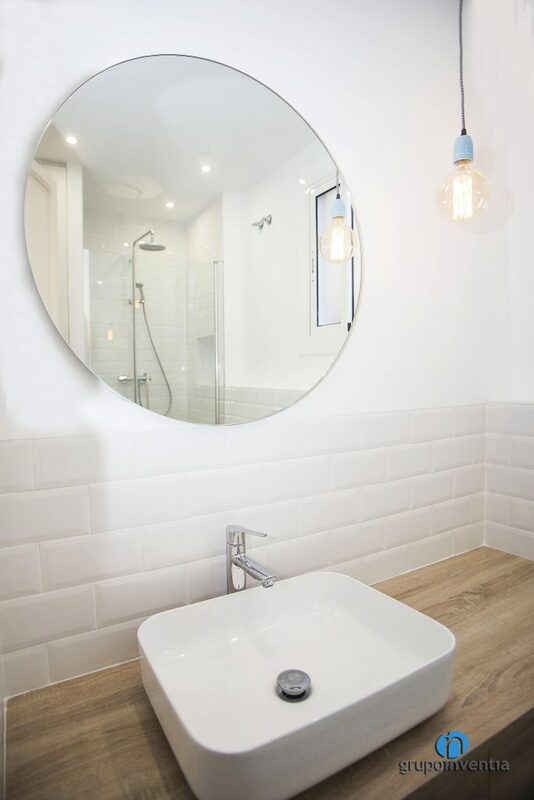 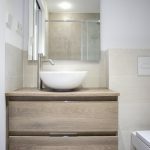 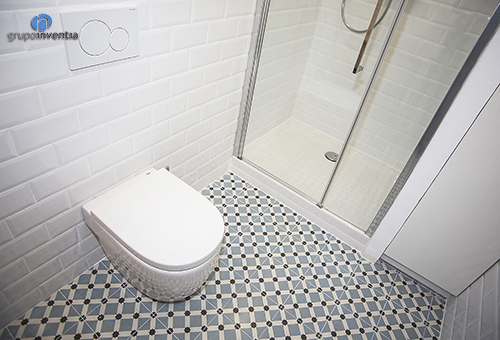 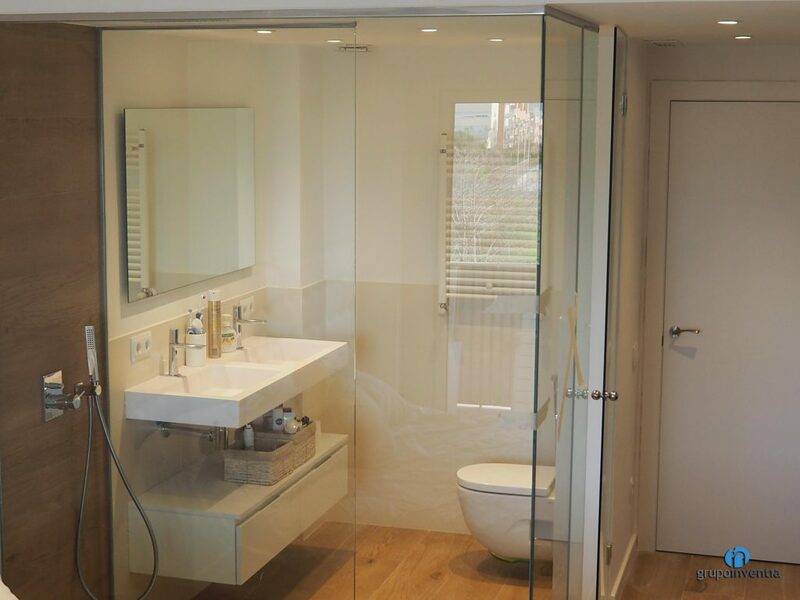 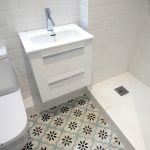 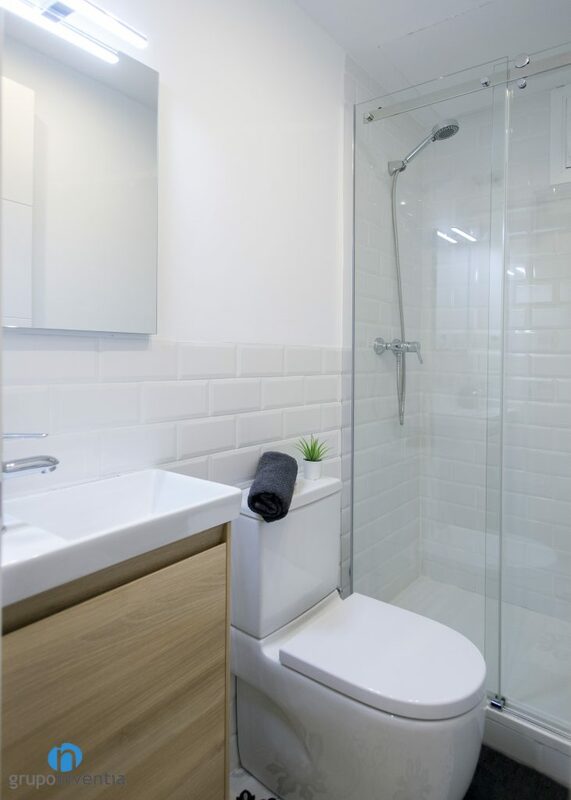 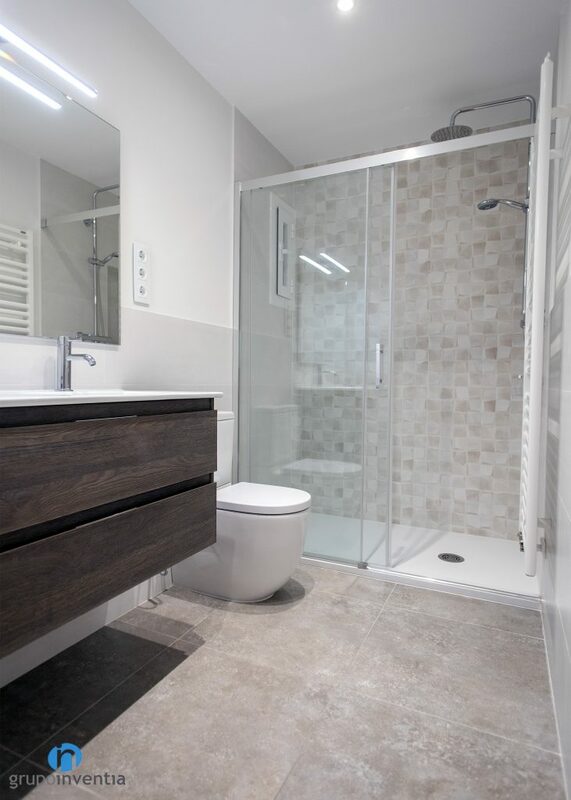 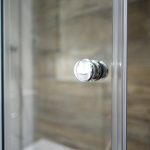 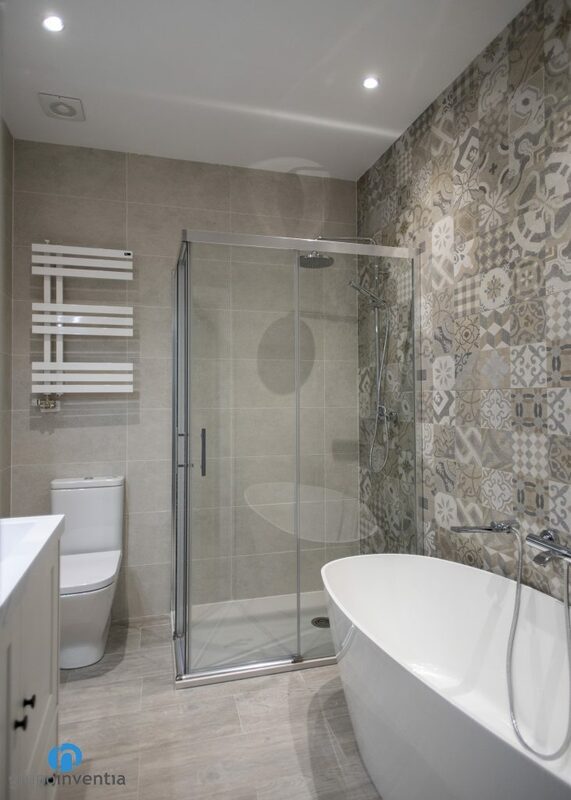 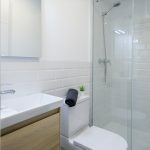 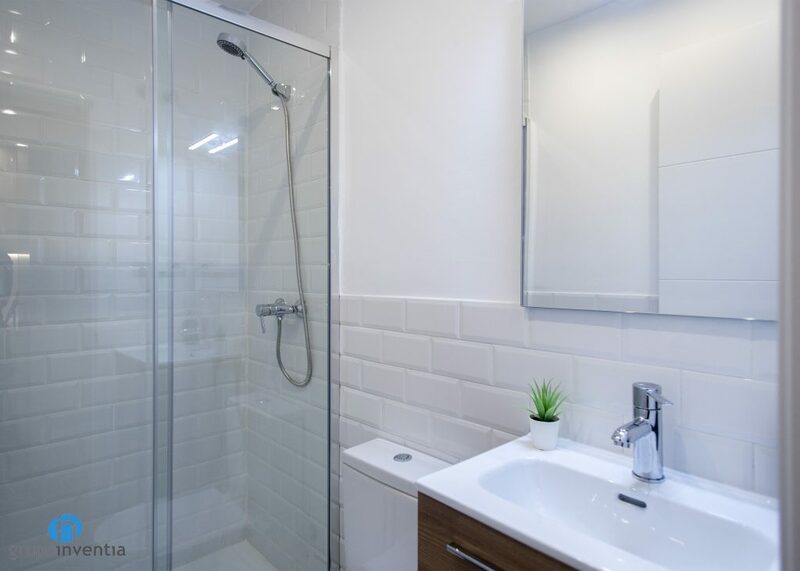 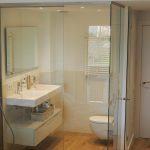 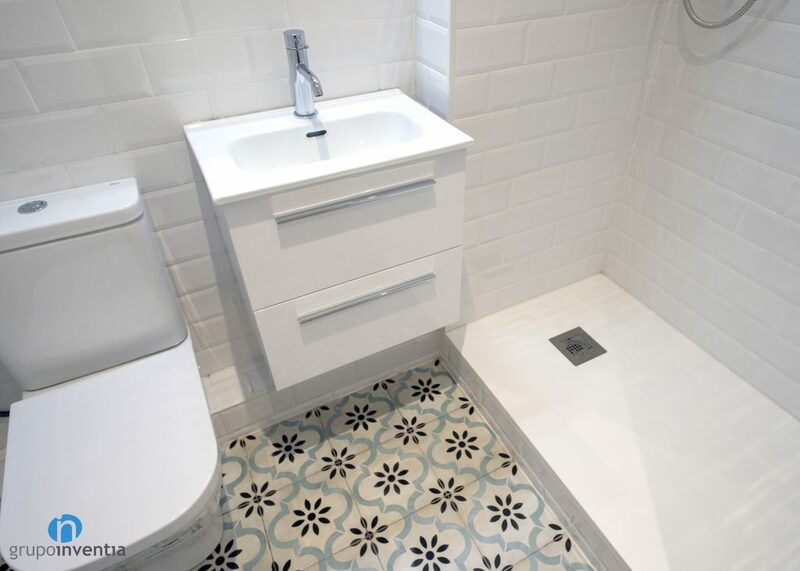 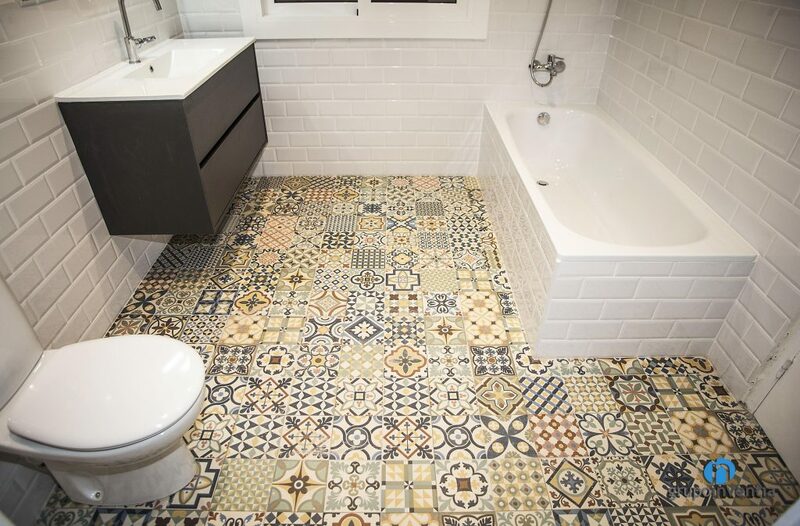 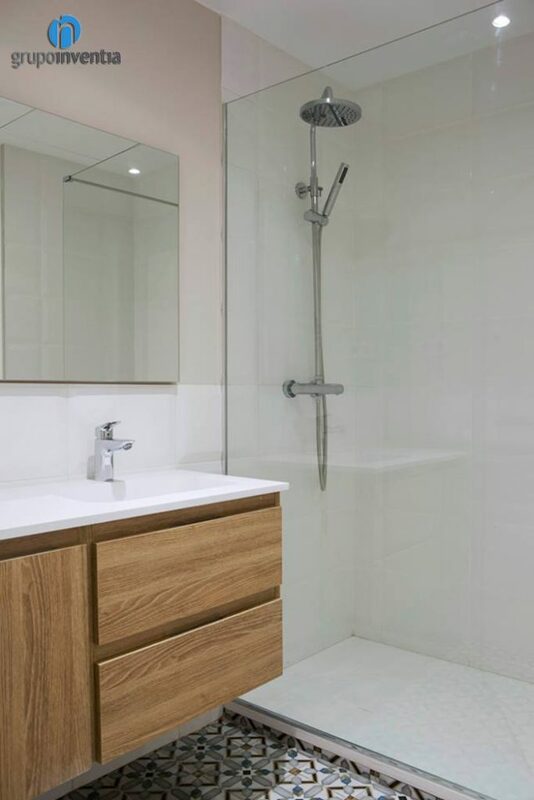 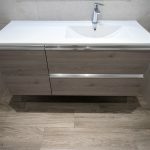 From here, our work will be to offer the best options to bathroom design and furniture. 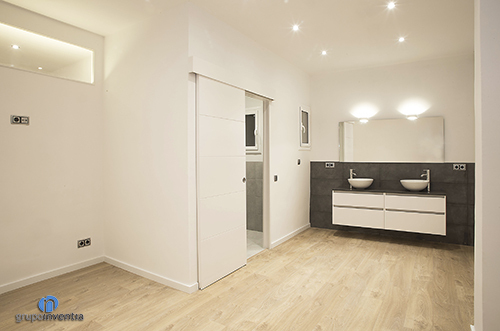 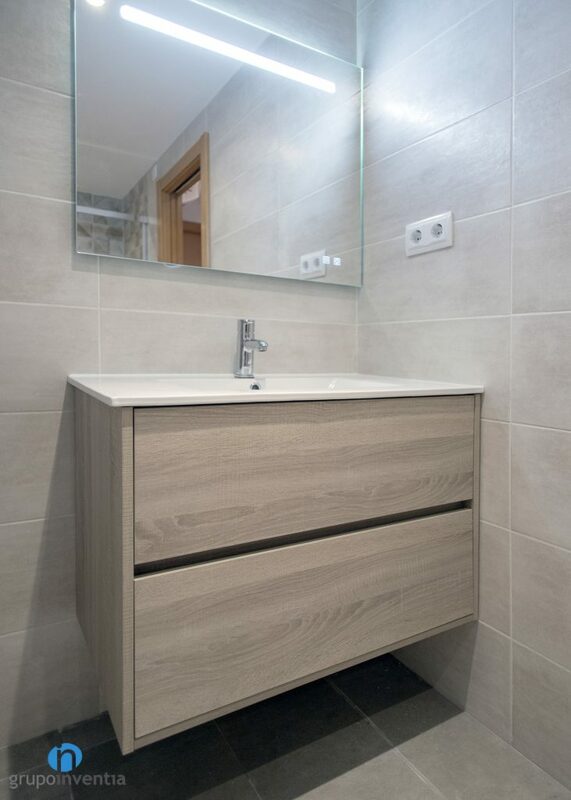 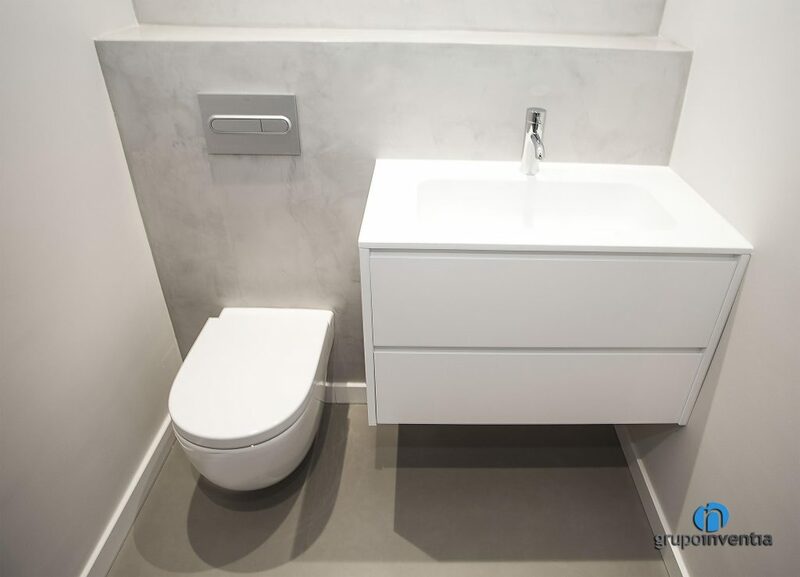 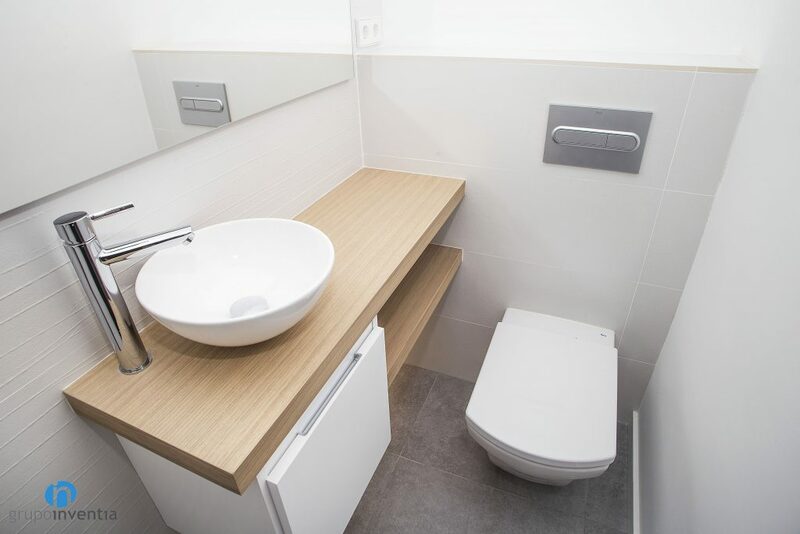 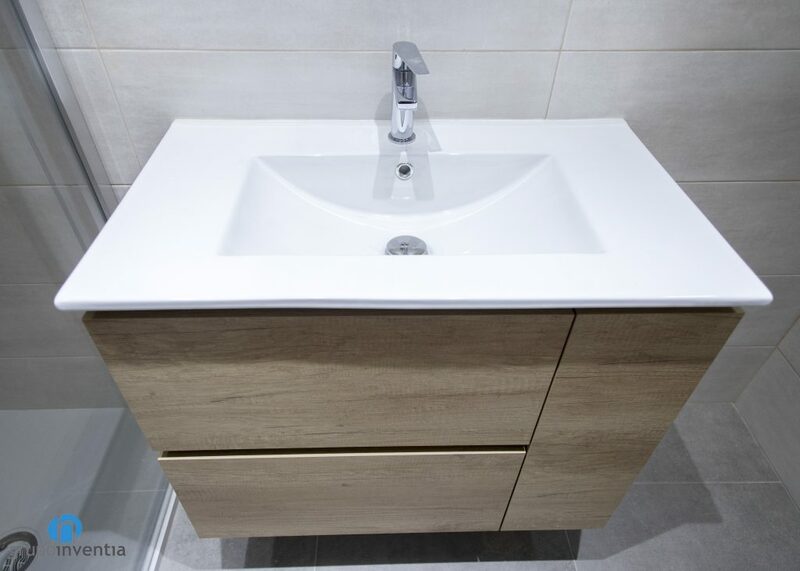 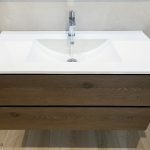 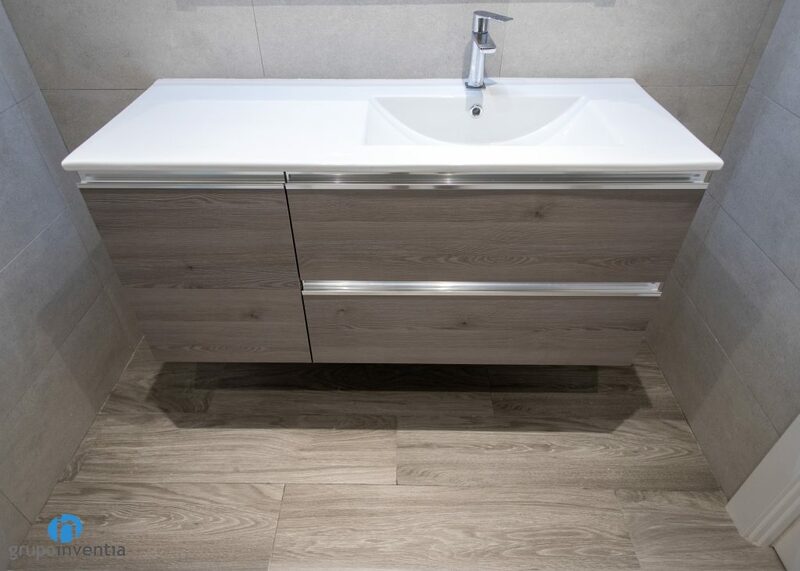 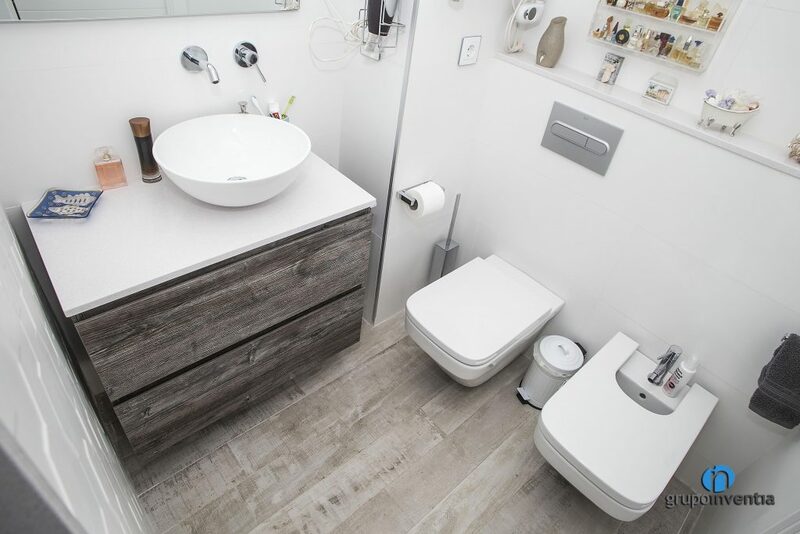 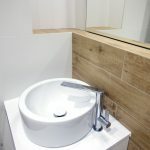 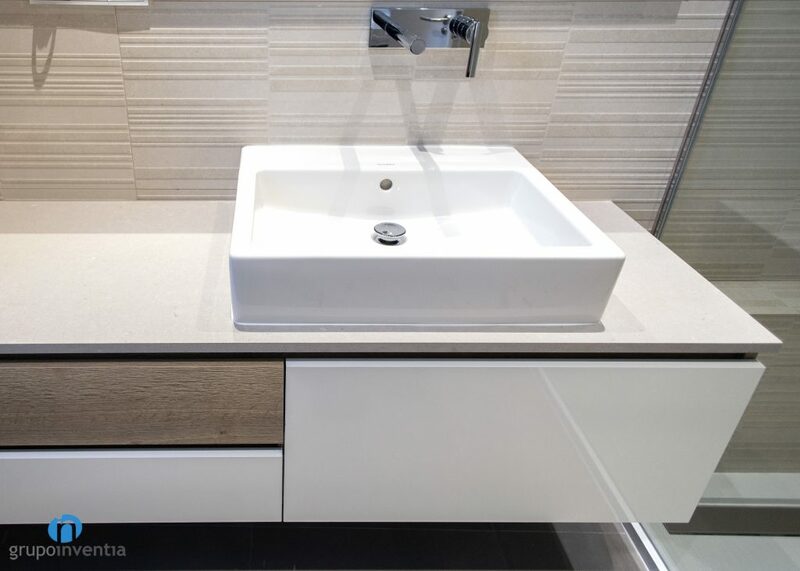 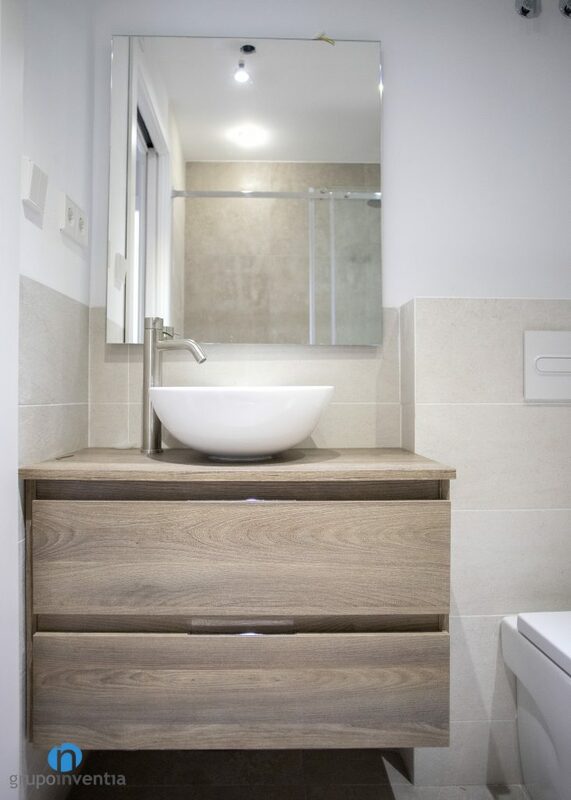 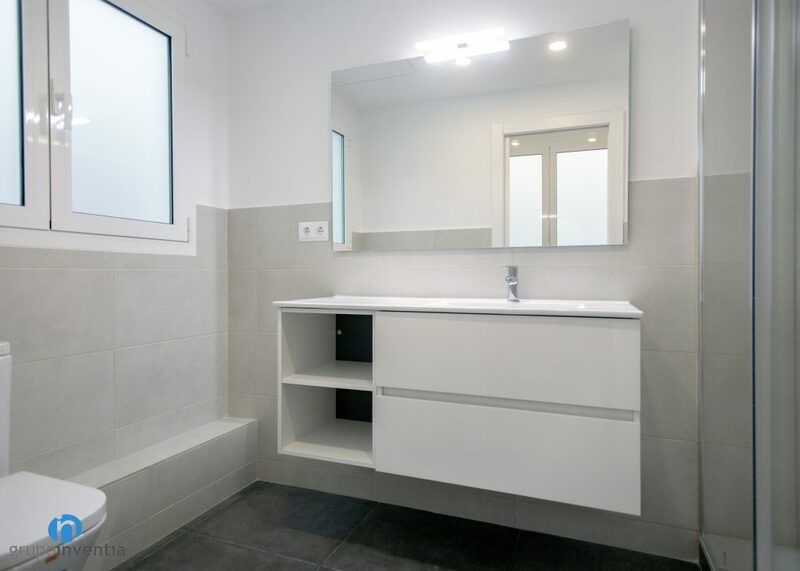 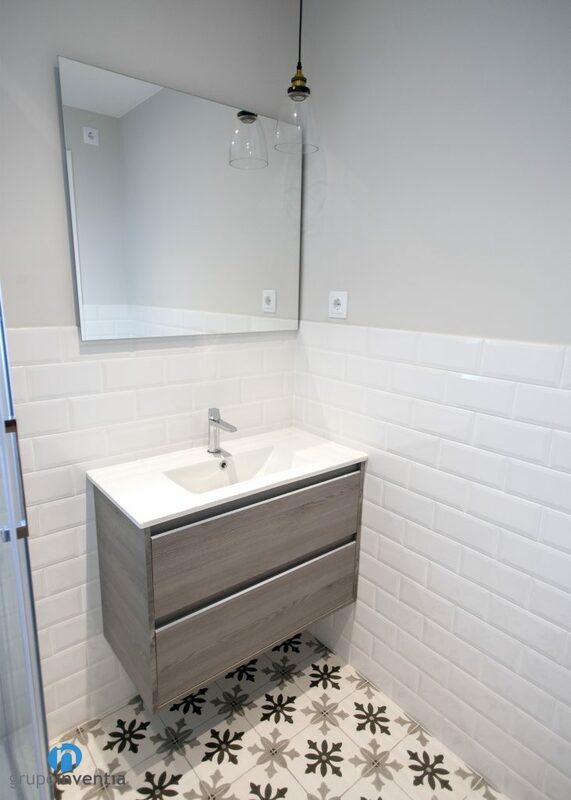 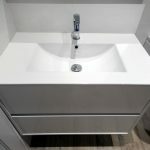 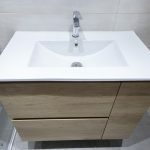 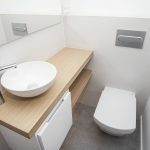 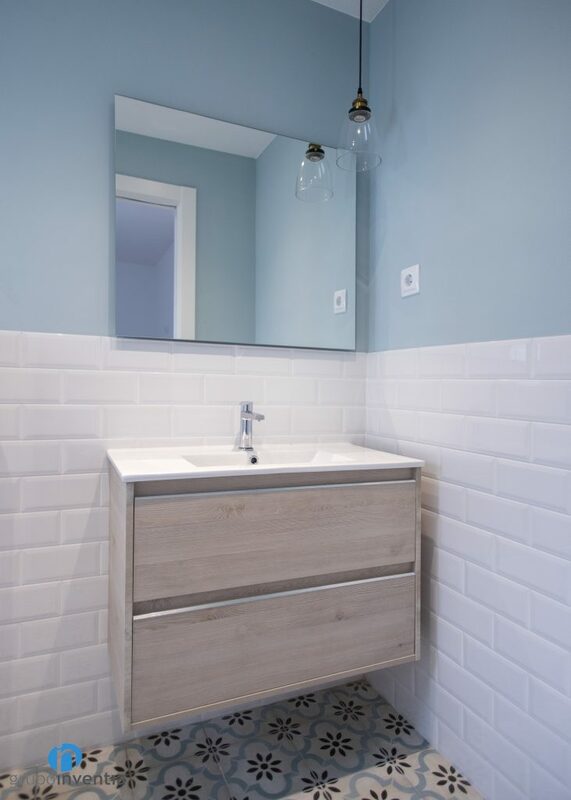 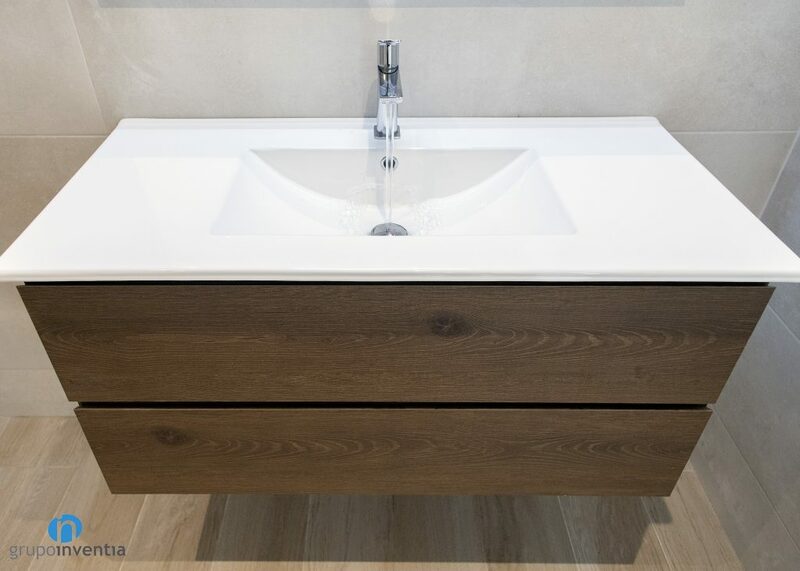 We have a wide range of possibilities when it comes to generating storage spaces, drawers and cabinets that are integrated in the same washbasin unit to modules placed independently because the bathroom always has the best appearance and organization. 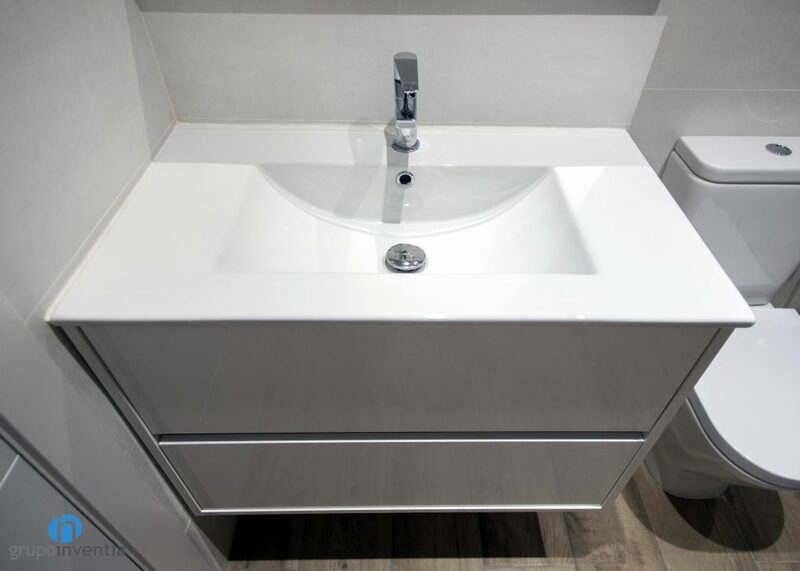 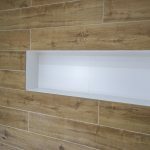 In turn, we offer many possibilities in colors as well as finishes of quality in tiled, pavements, sanitary, radiators and any element of the bathroom. 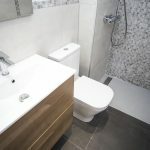 Of each of them we have a wide variety so that the room has the interior design preferred by each owner. 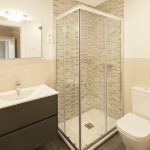 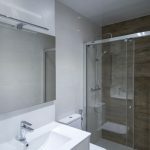 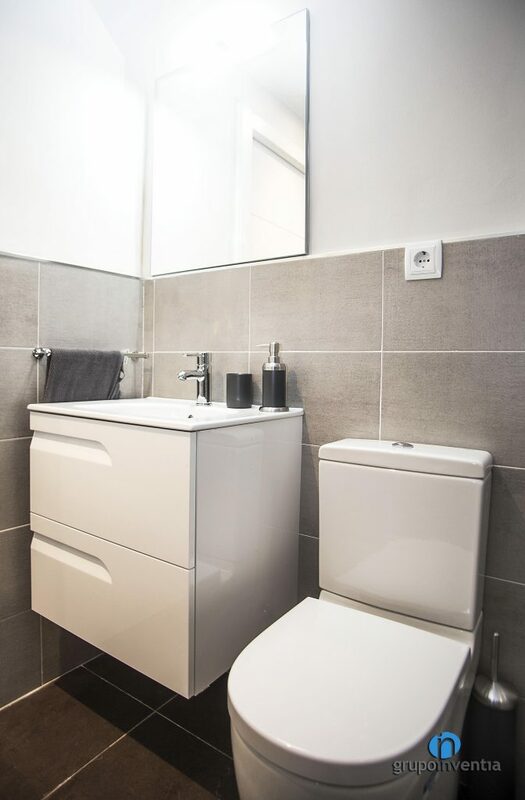 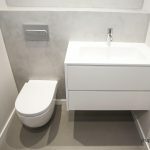 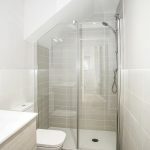 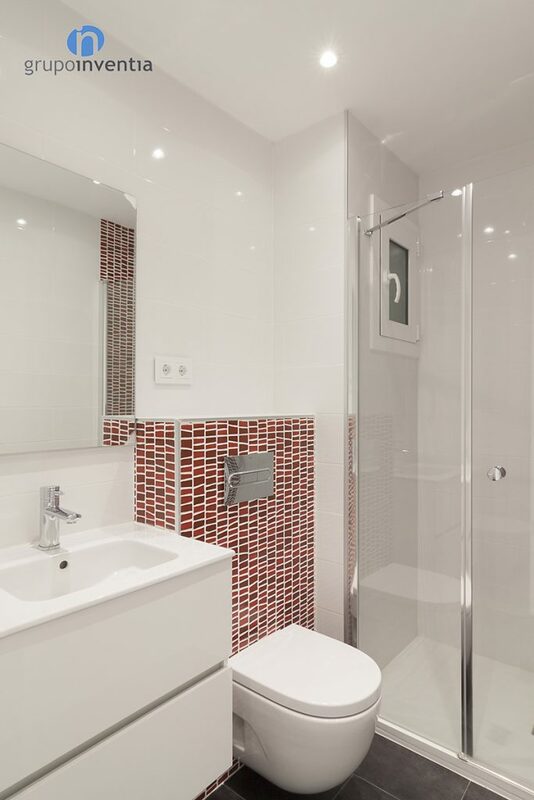 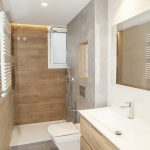 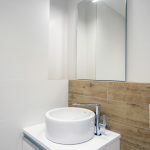 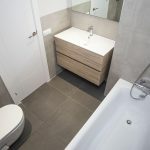 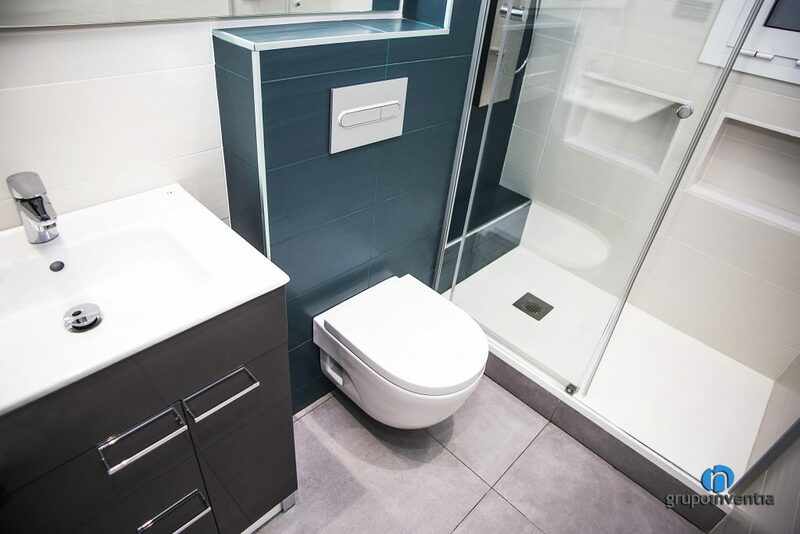 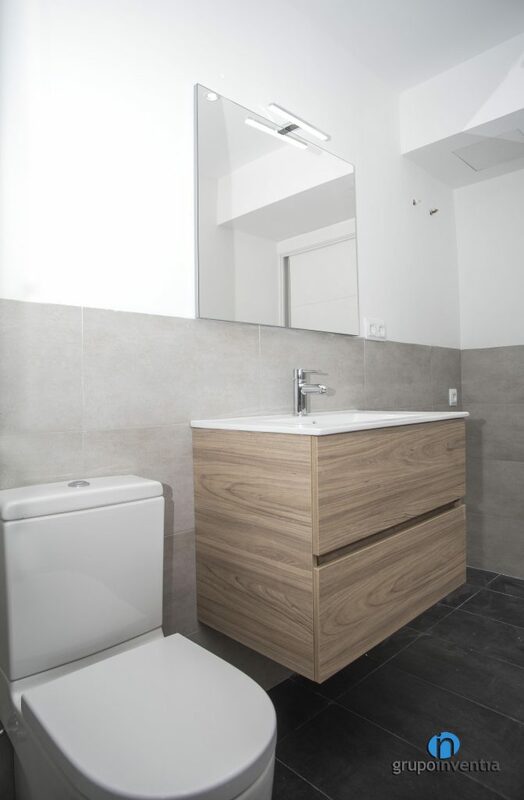 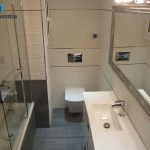 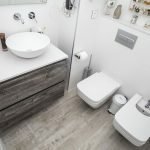 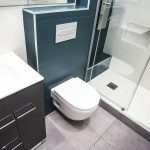 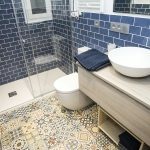 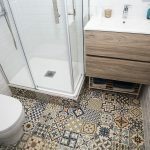 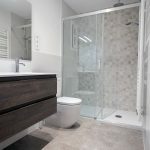 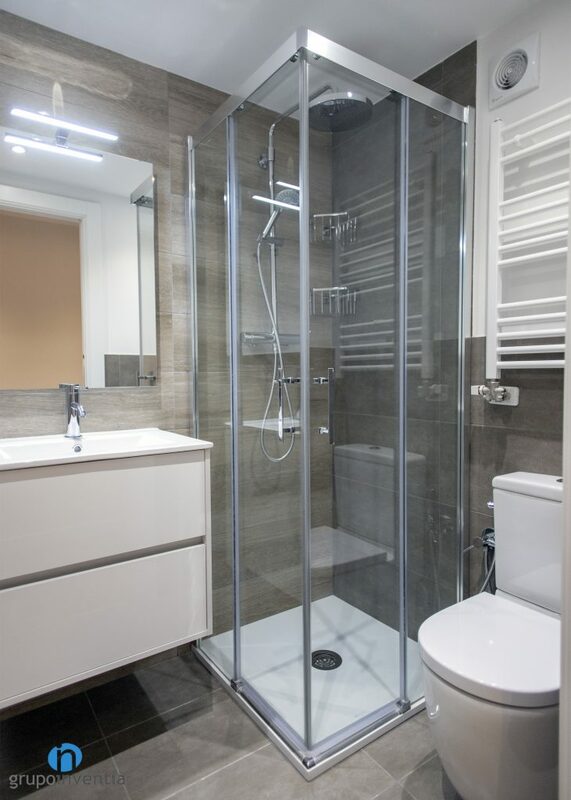 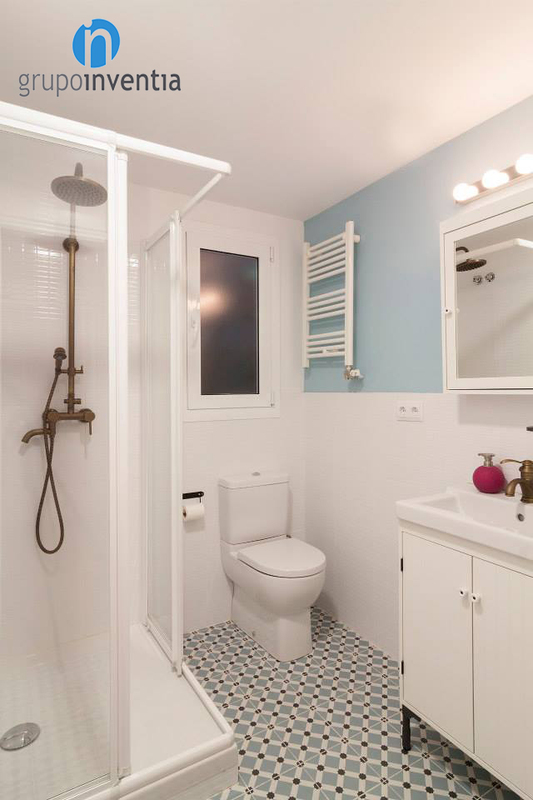 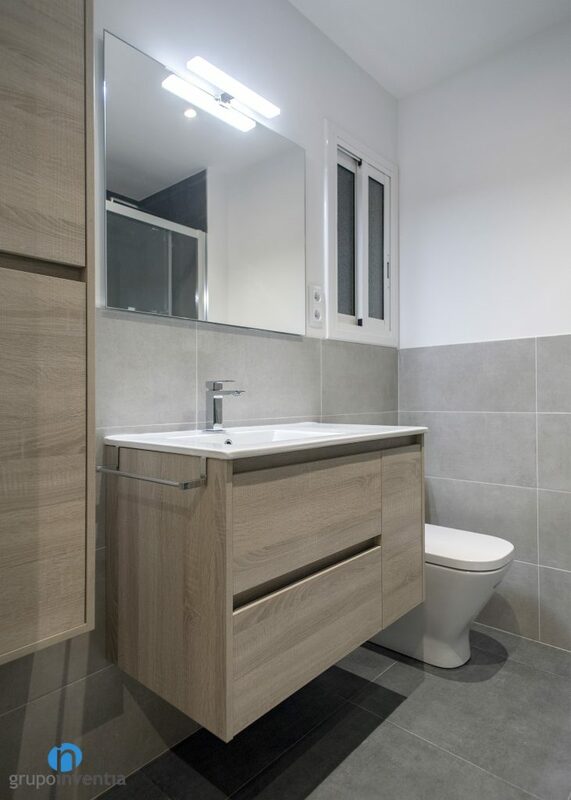 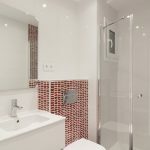 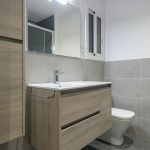 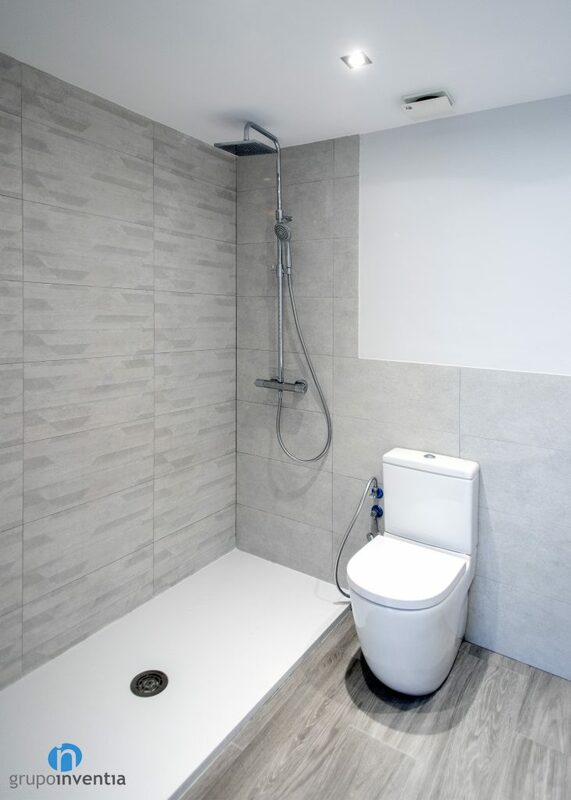 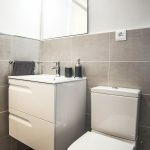 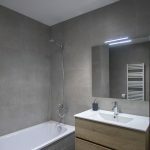 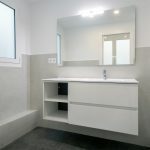 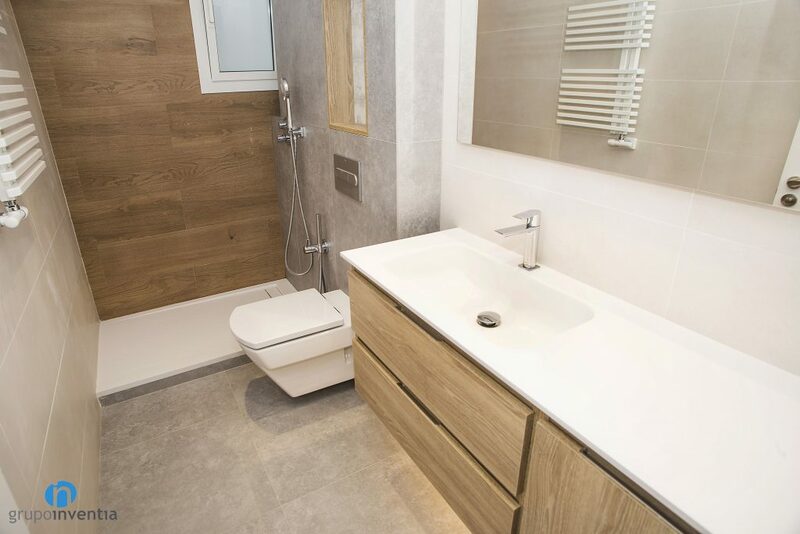 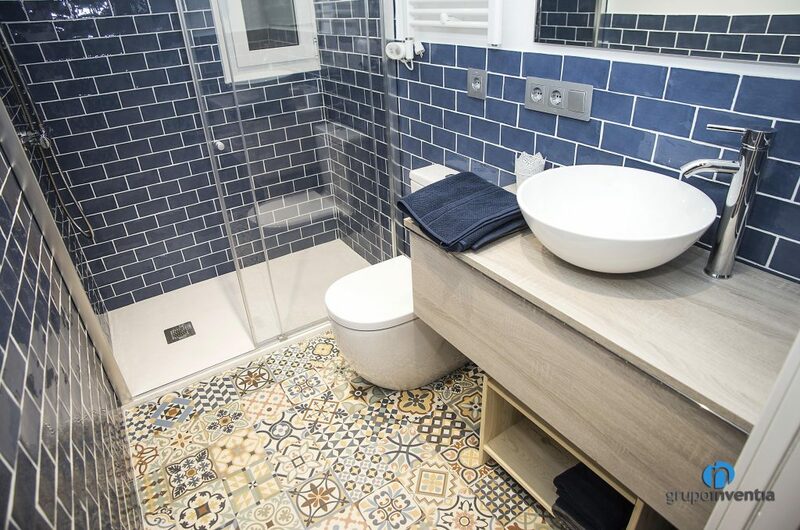 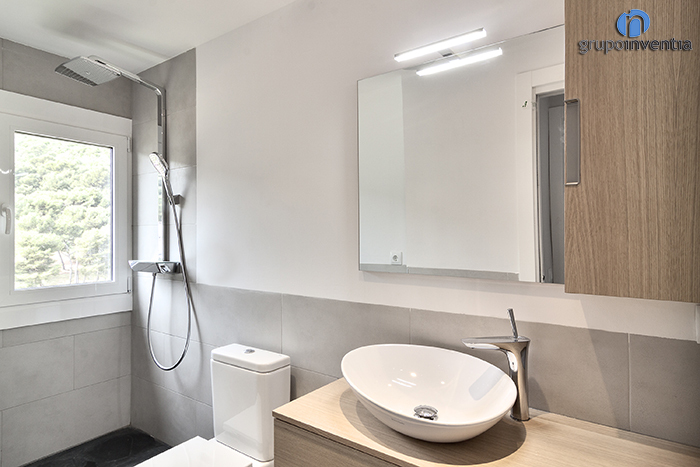 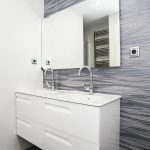 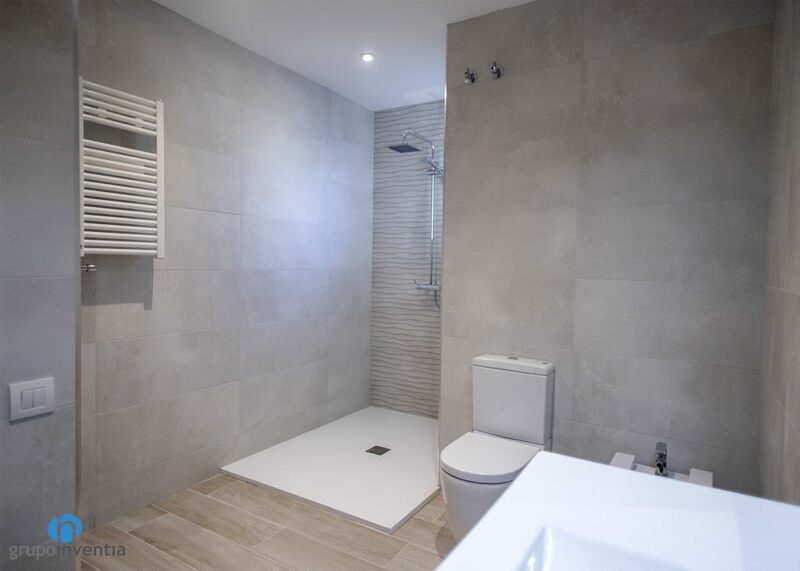 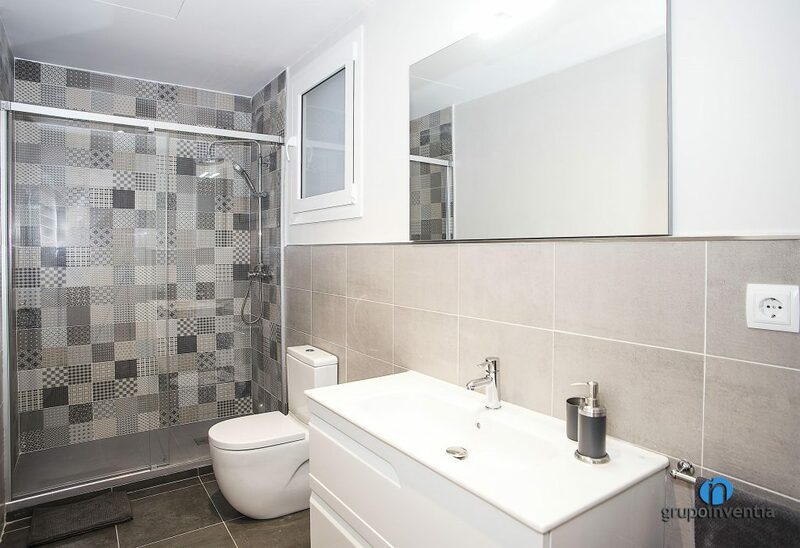 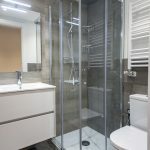 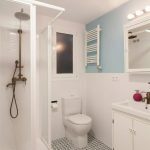 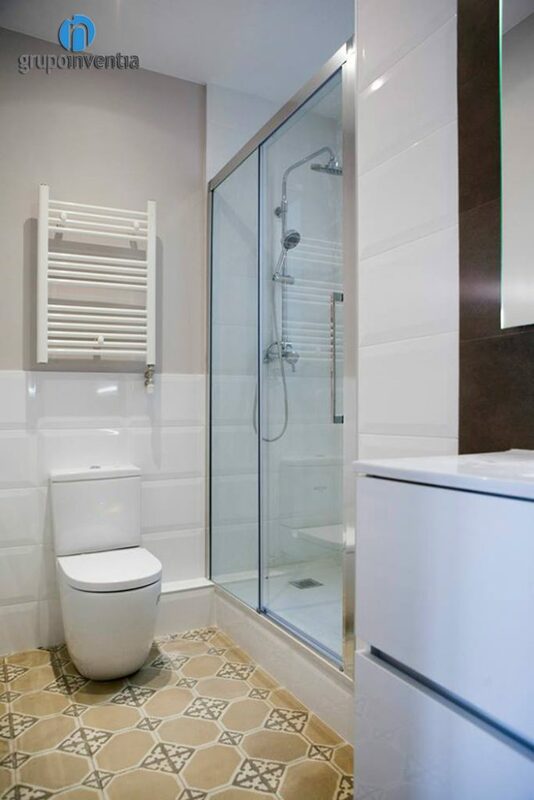 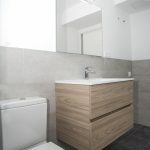 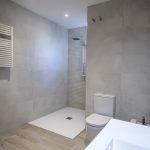 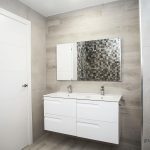 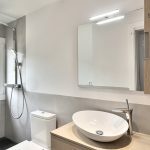 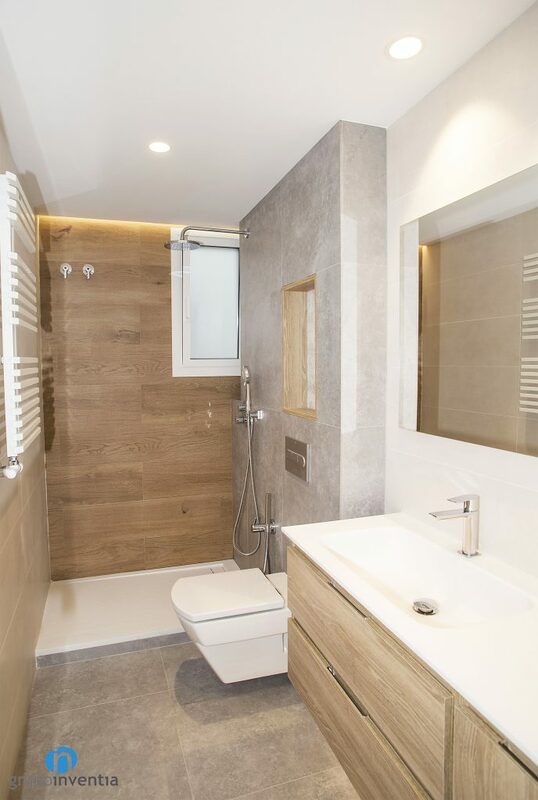 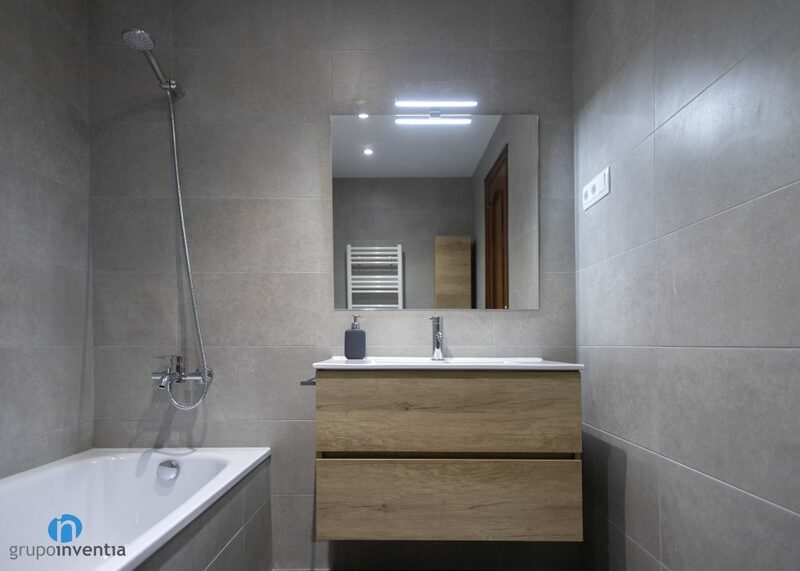 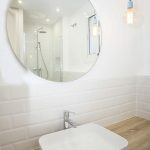 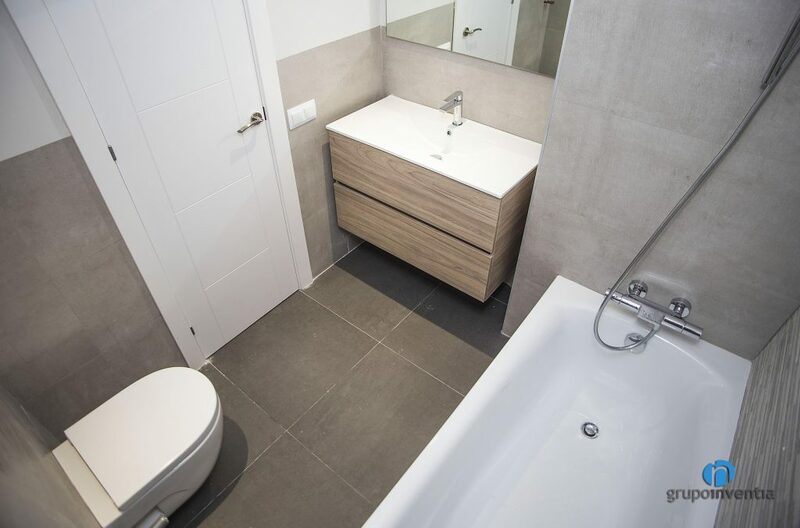 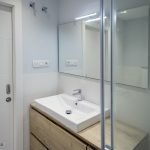 After years of experience and a long list of bathroom renovations in Barcelona successfully completed, Grupo Inventia becomes the best option to renovate this room both in image and in equipment. 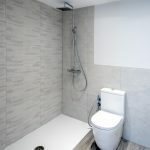 Doing a bathroom renovation had never been so simple. 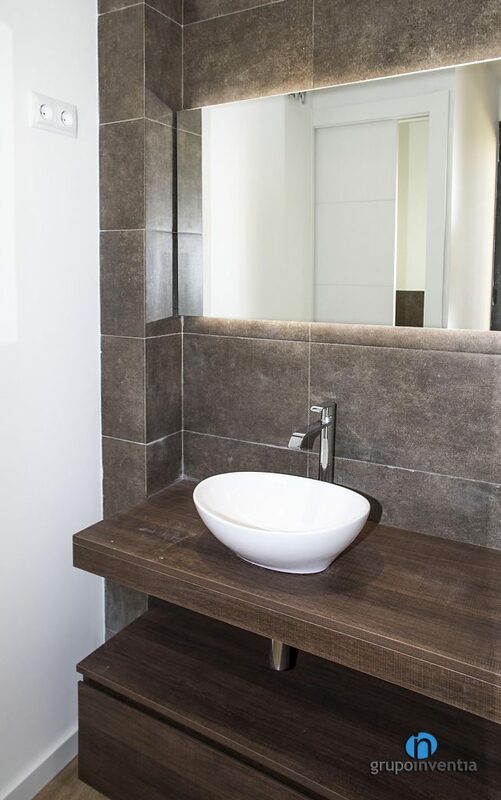 Our interior design and construction work departments offer personalized advice and will always be available to solve any topic to comment on. 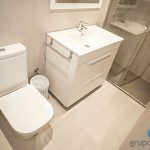 With Grupo Inventia the possibilities of a bathroom renovation are endless and they will all be in accordance with the desire of each owner.